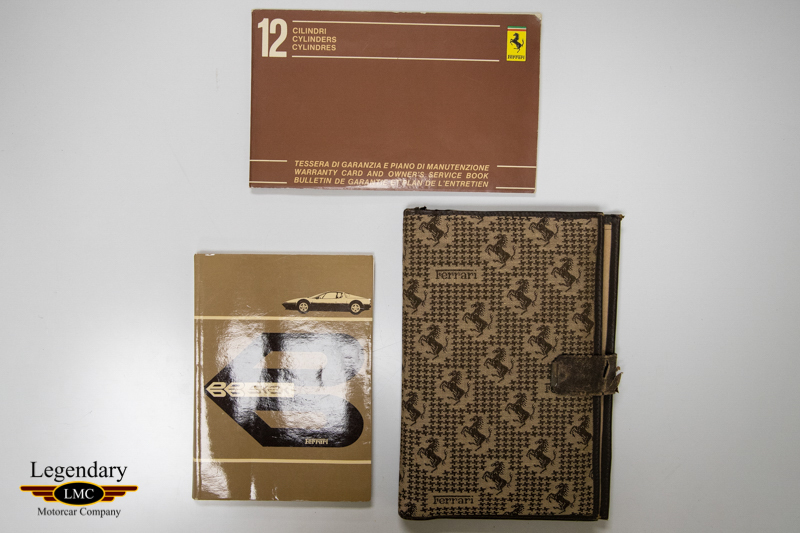 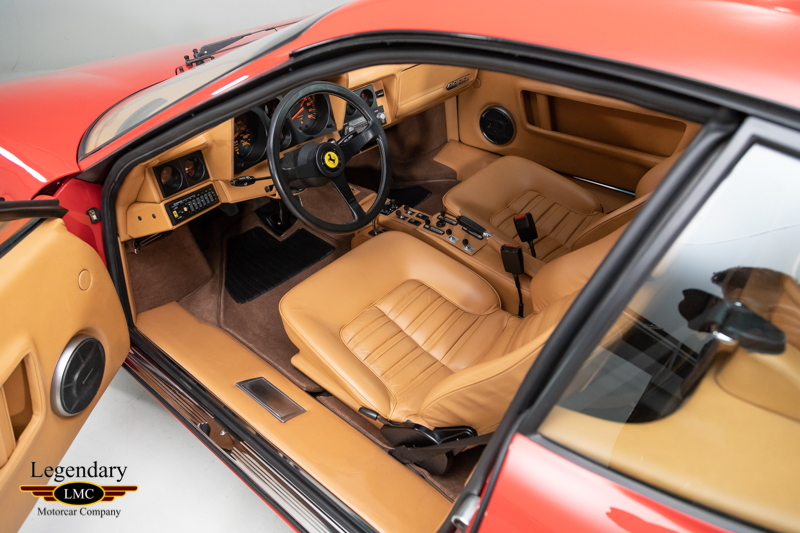 Click any thumbnail below to display the 1984 Ferrari 512 BBI Boxer slide show. 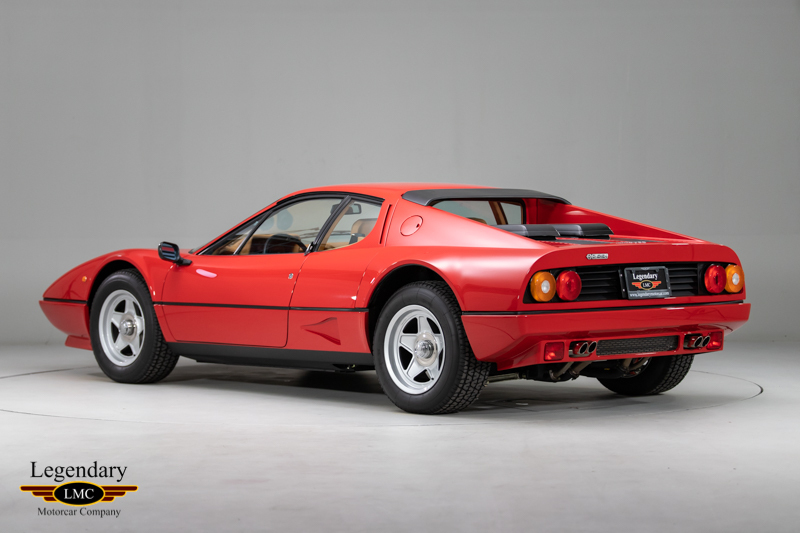 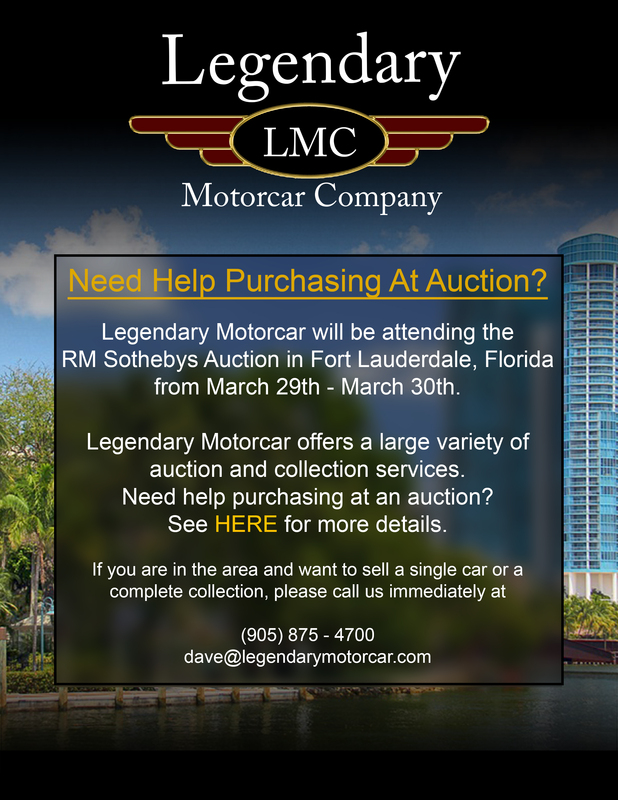 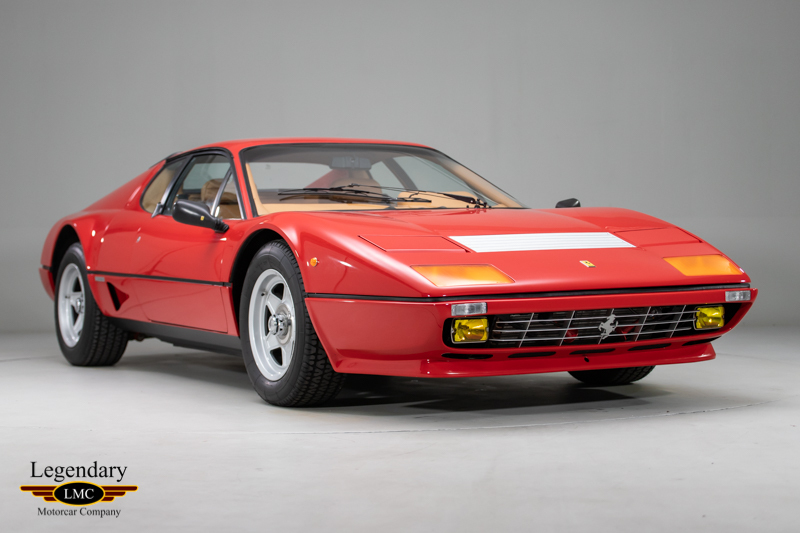 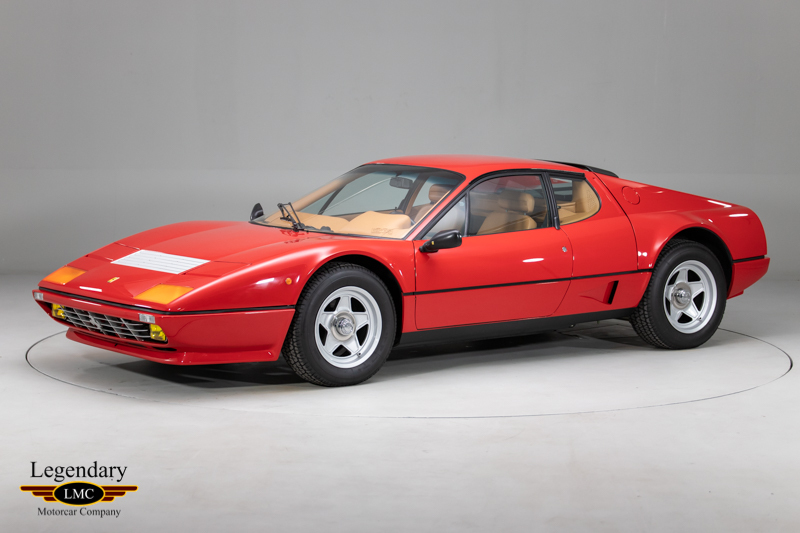 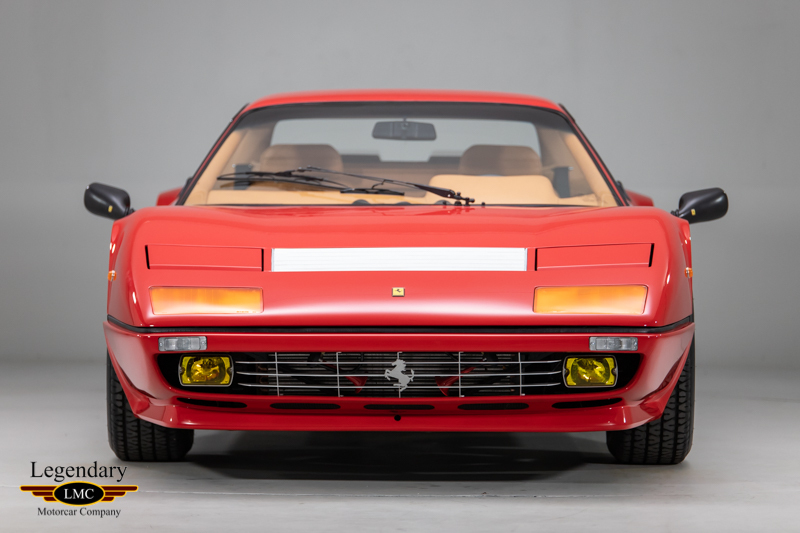 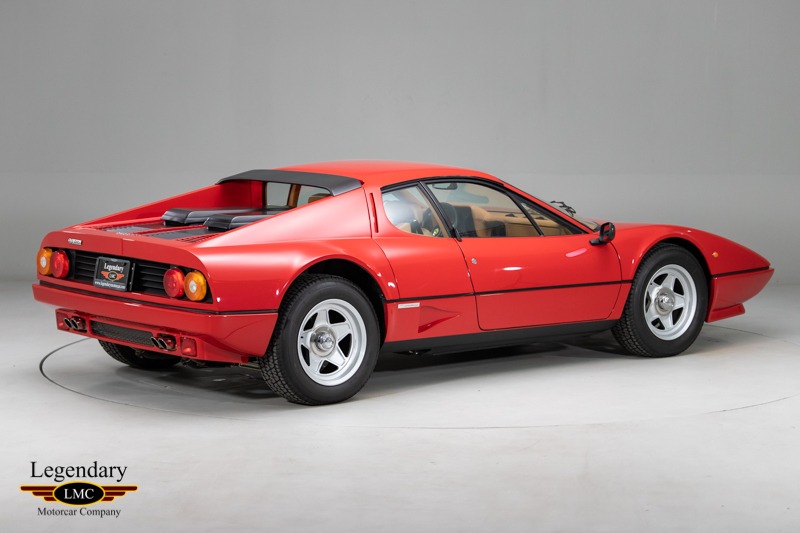 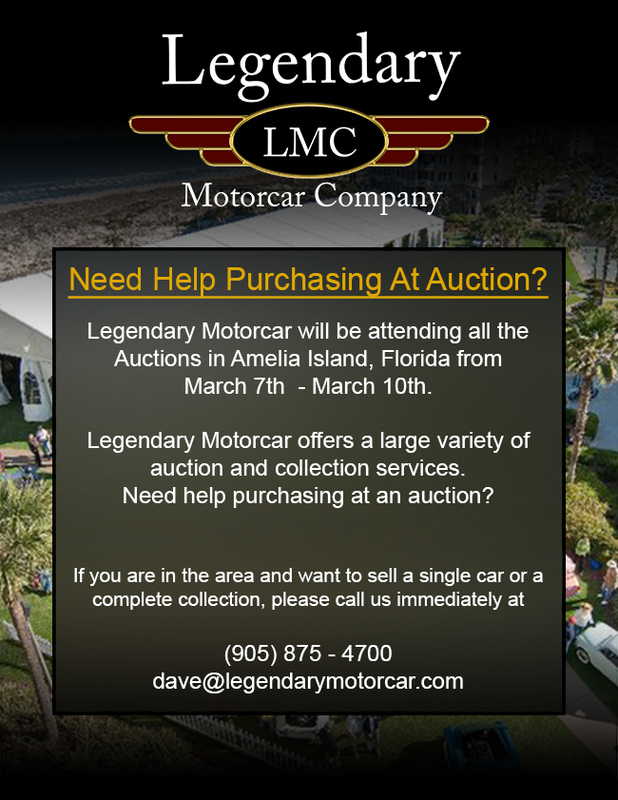 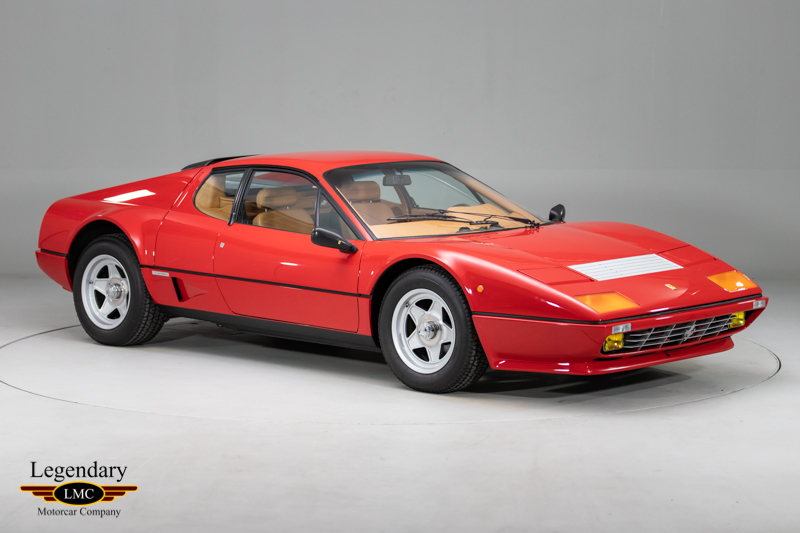 LMC is very proud to offer for sale this 1984 Ferrari 512BBI. 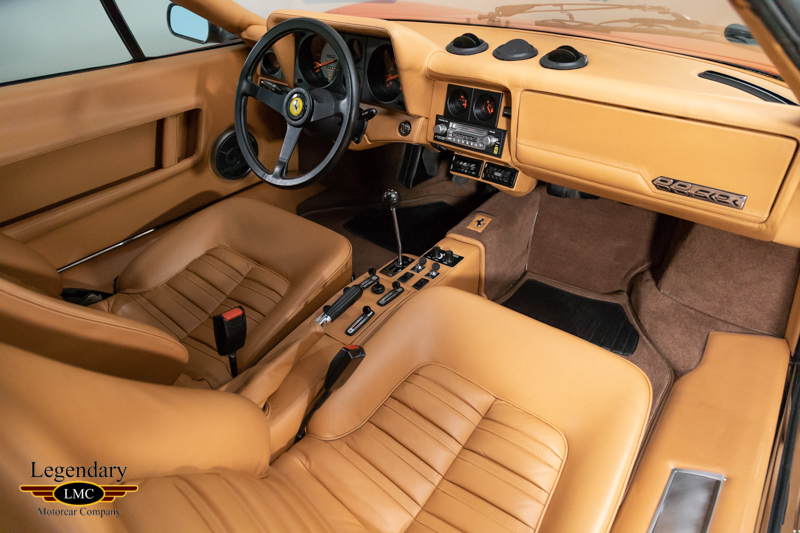 Ferrari chose to introduce the 512 BBi, their newest Berlinetta Boxer model for the first time at the 1981 Frankfurt Auto Show. 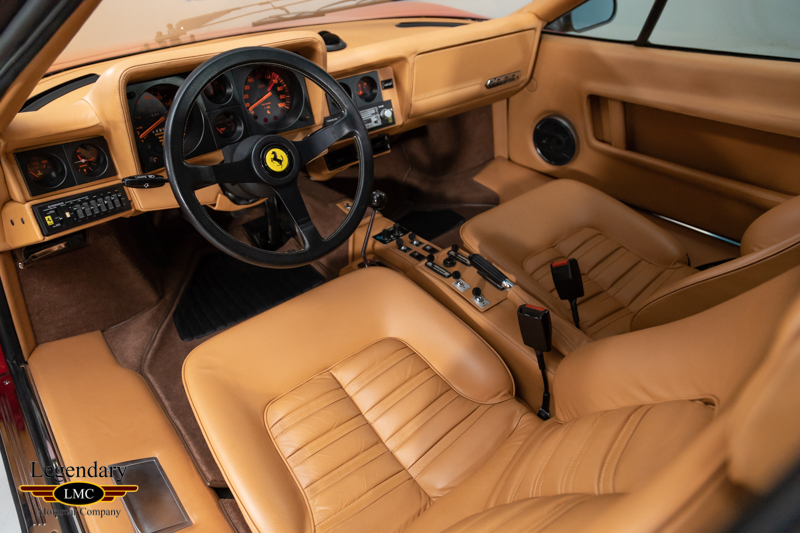 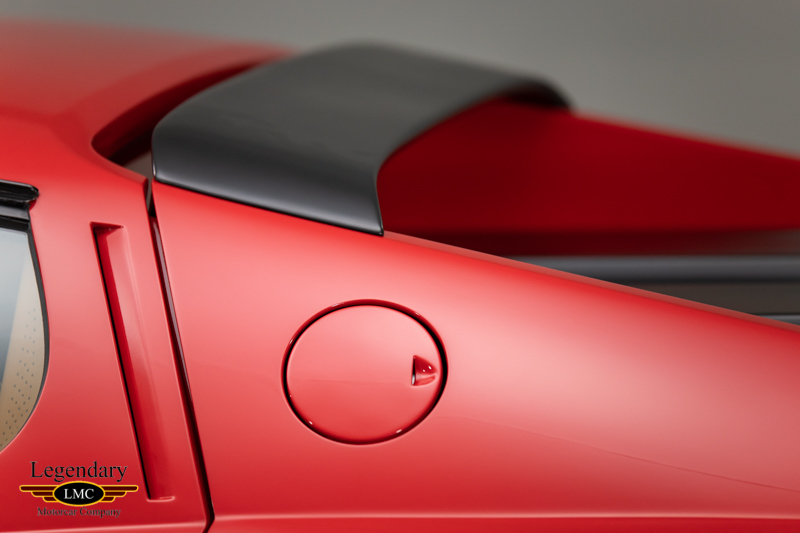 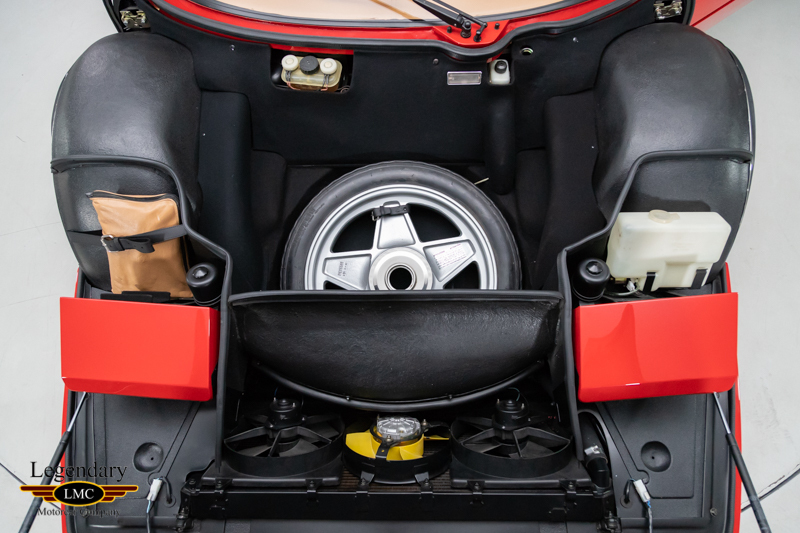 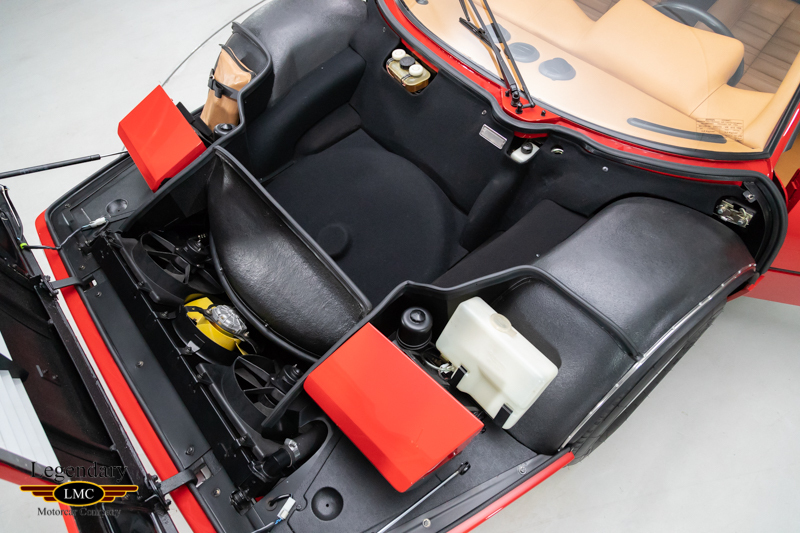 Although largely similar to the outgoing 512 BB, the major change in this new model was the replacement of the previous model’s carburetors with the Bosch K-Jetronic fuel-injection system, hence the “i” in its nomenclature. 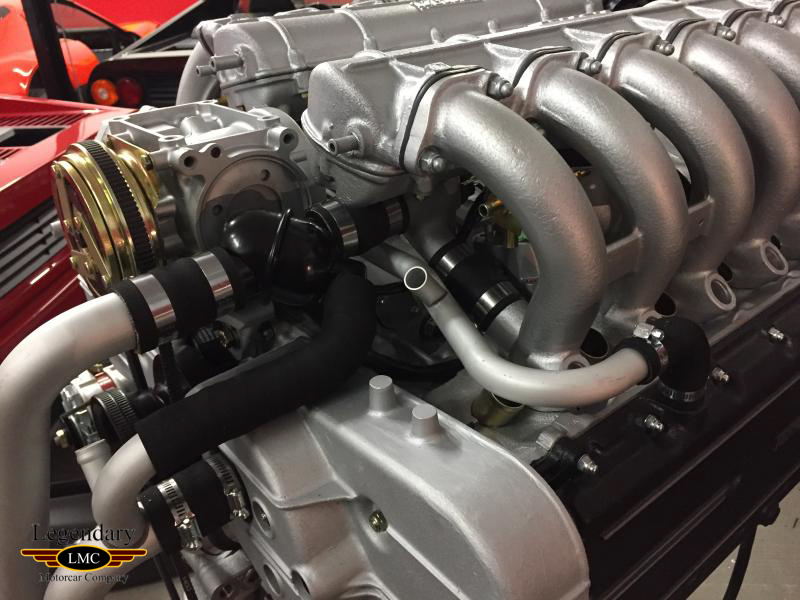 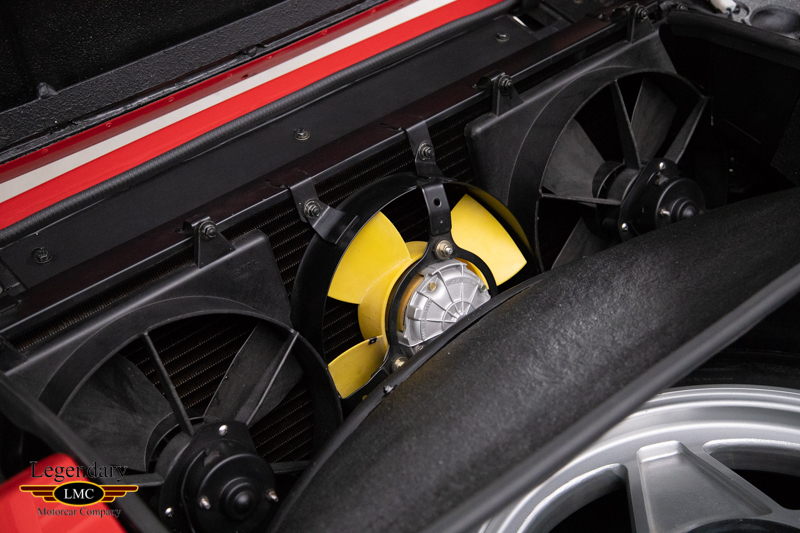 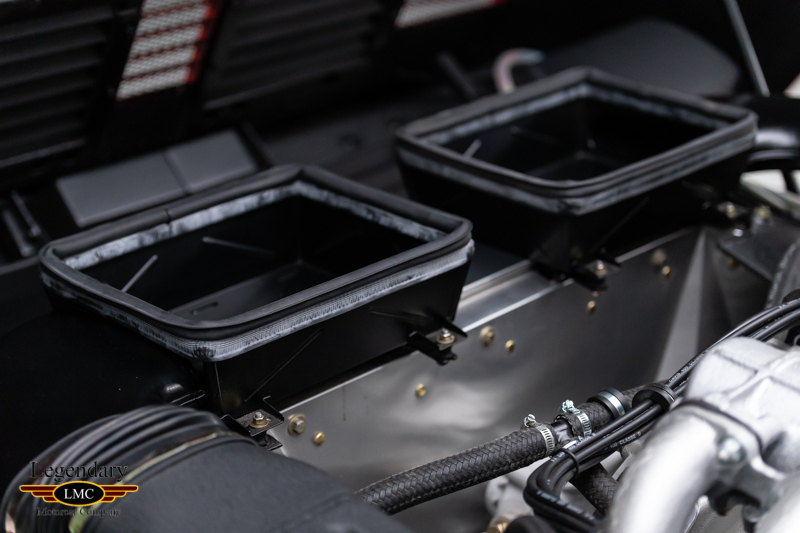 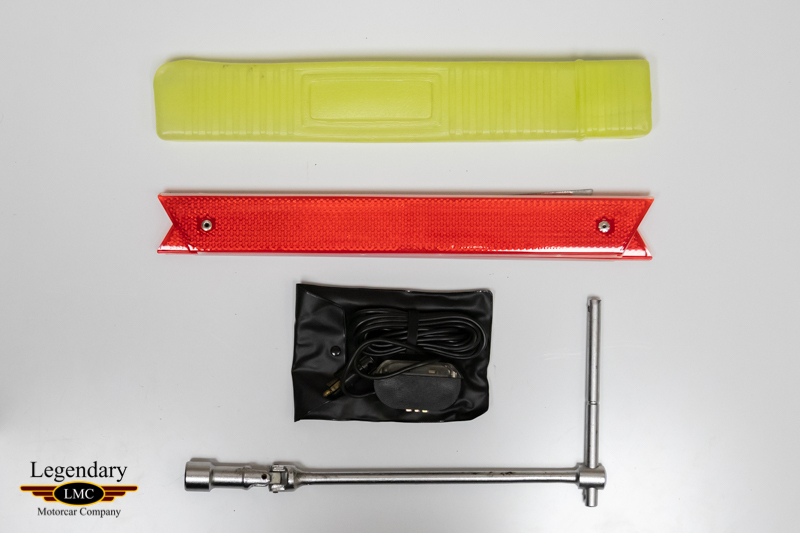 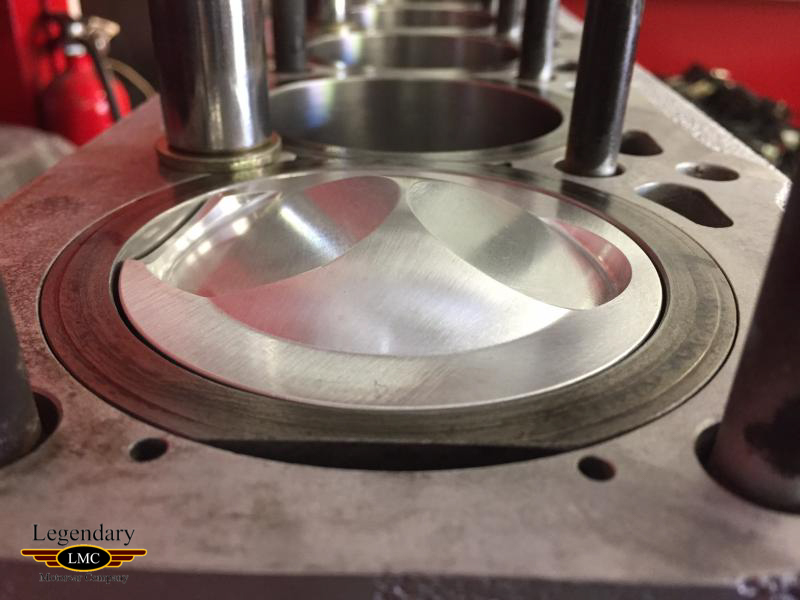 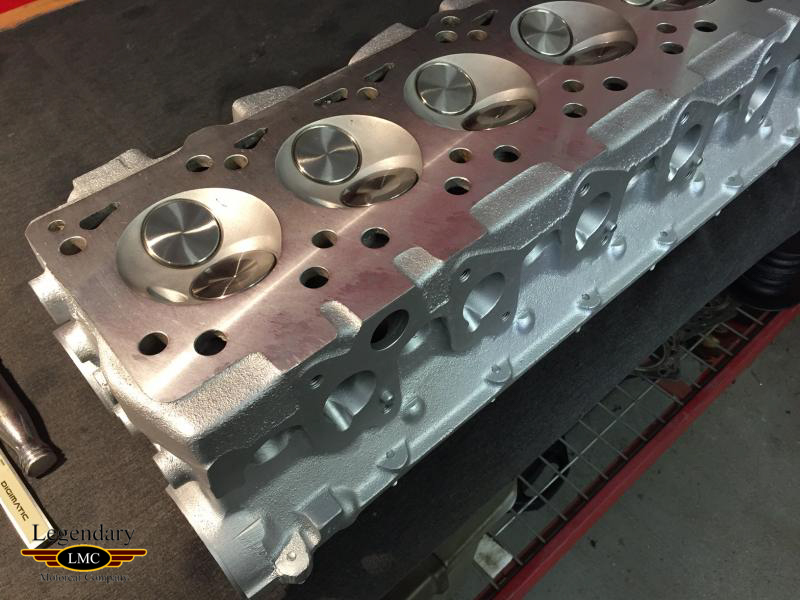 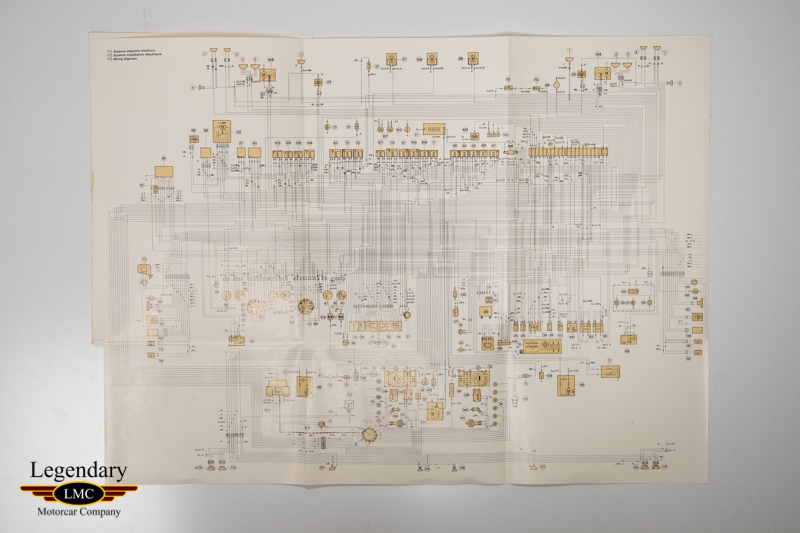 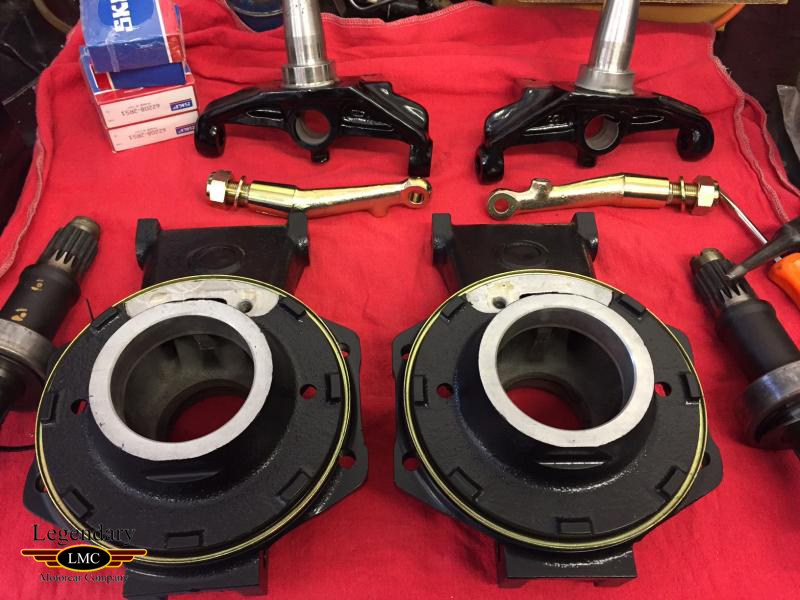 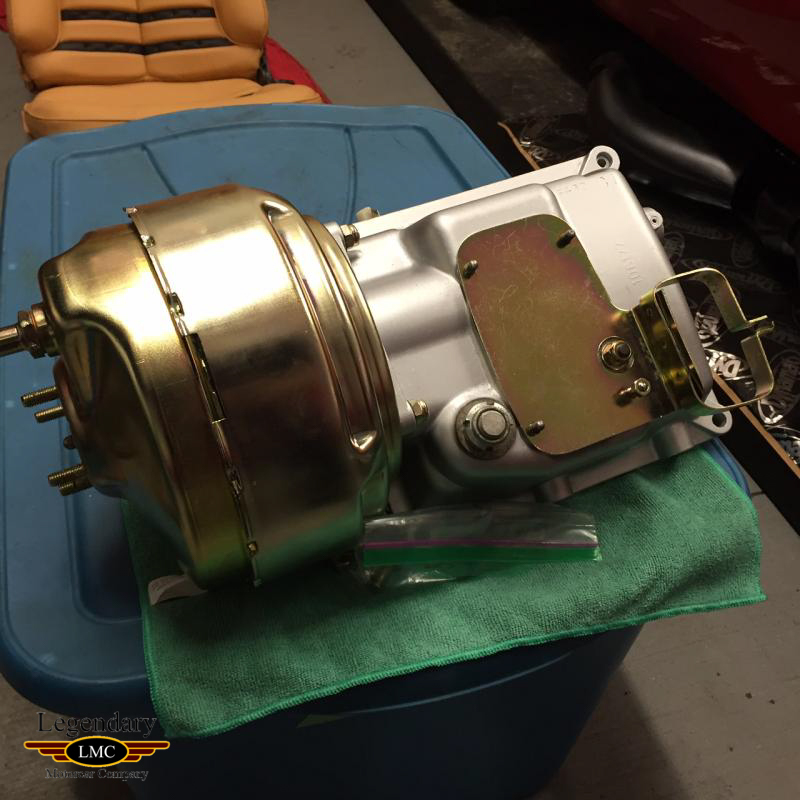 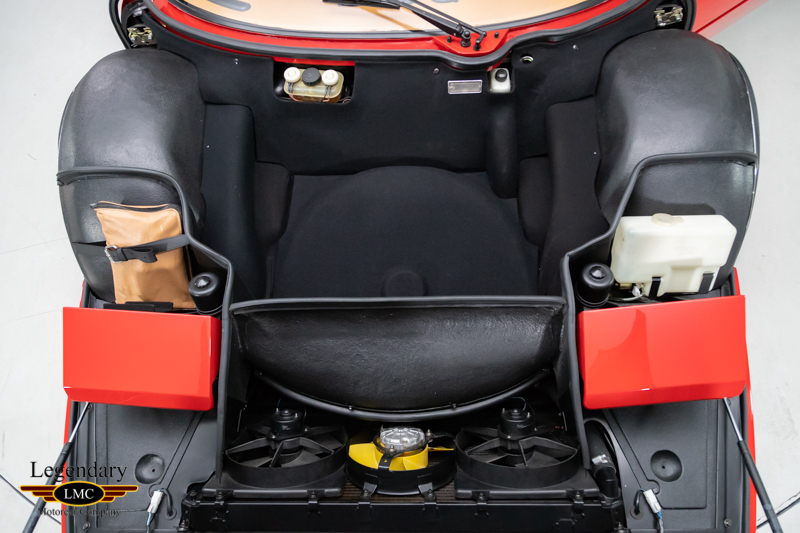 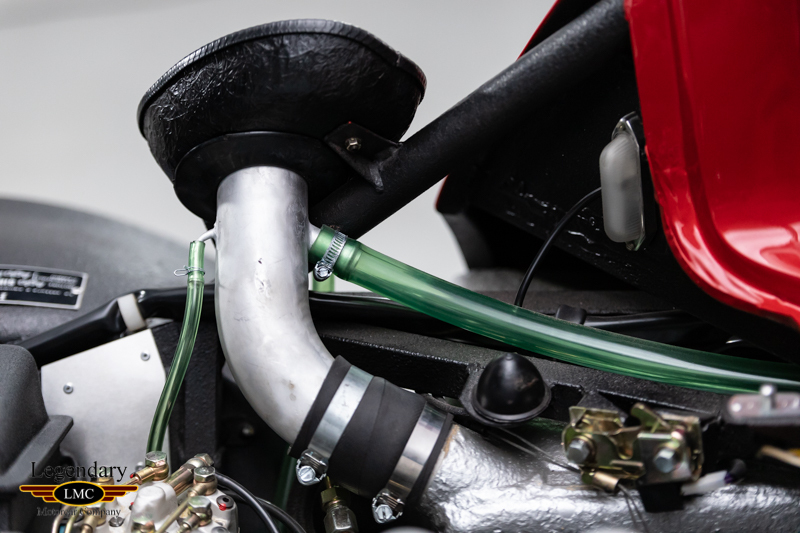 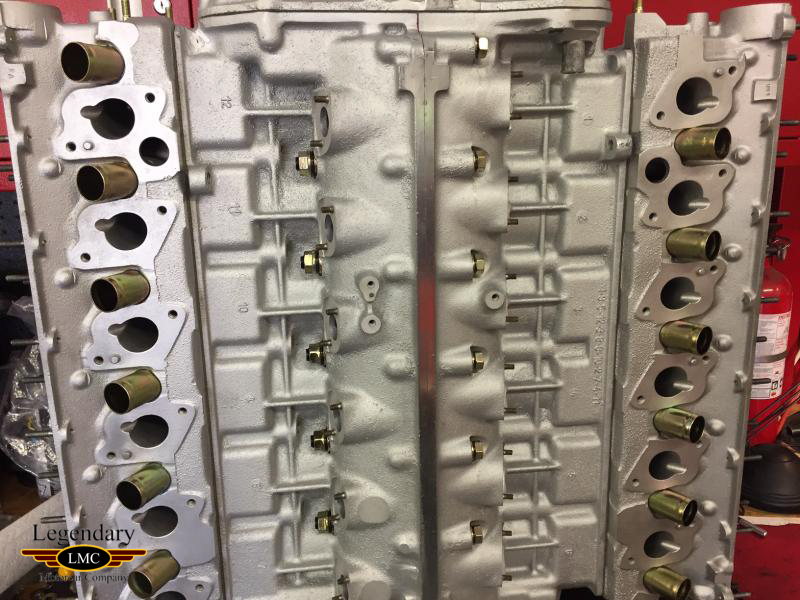 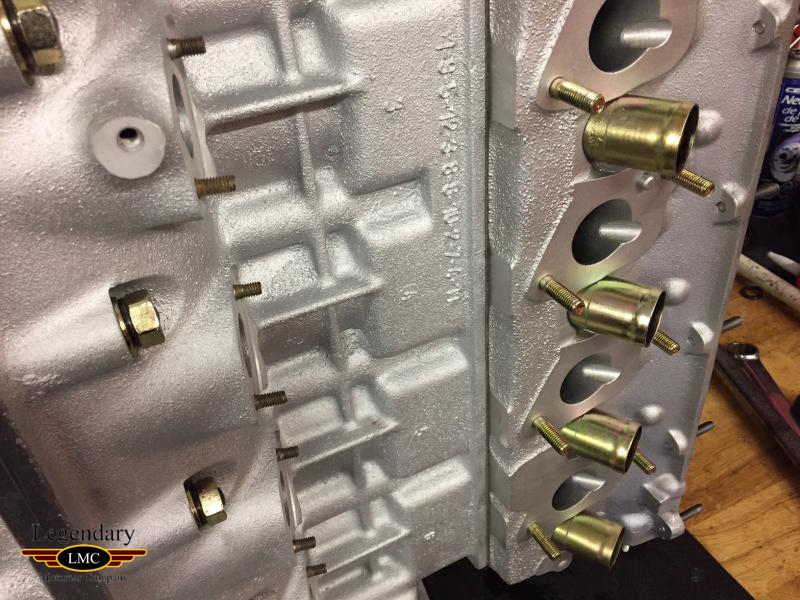 The fuel injection system produced cleaner emissions, offered a better balance of performance and daily-driver reliability with much less maintenance than the previous carburetor system. 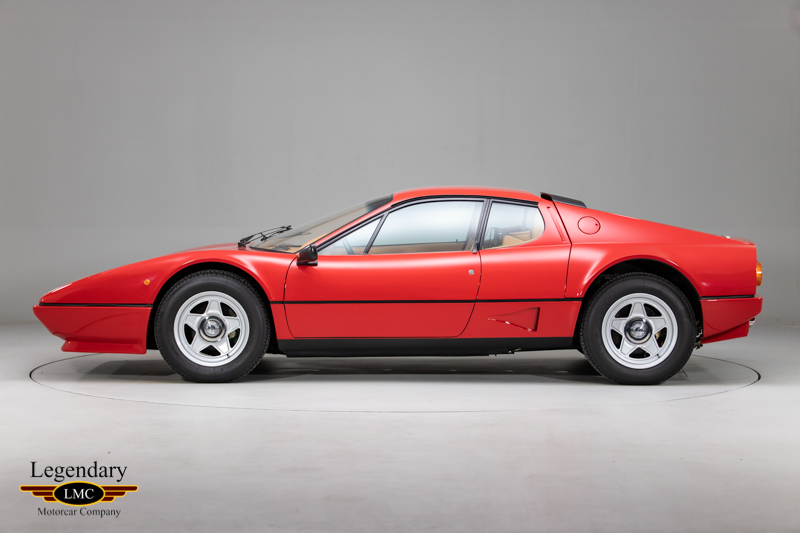 The BBi proved to be vastly more user-friendly with its easy starting and smooth-running characteristics, making daily driving both fast and relatively effortless. 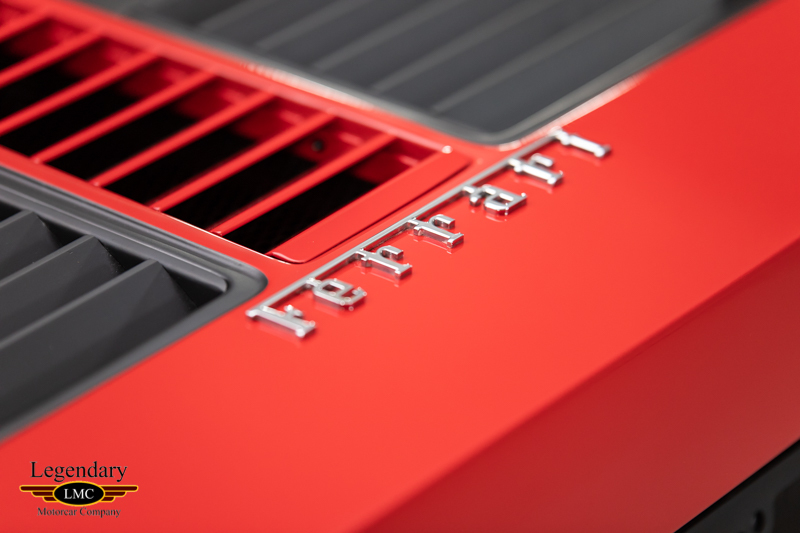 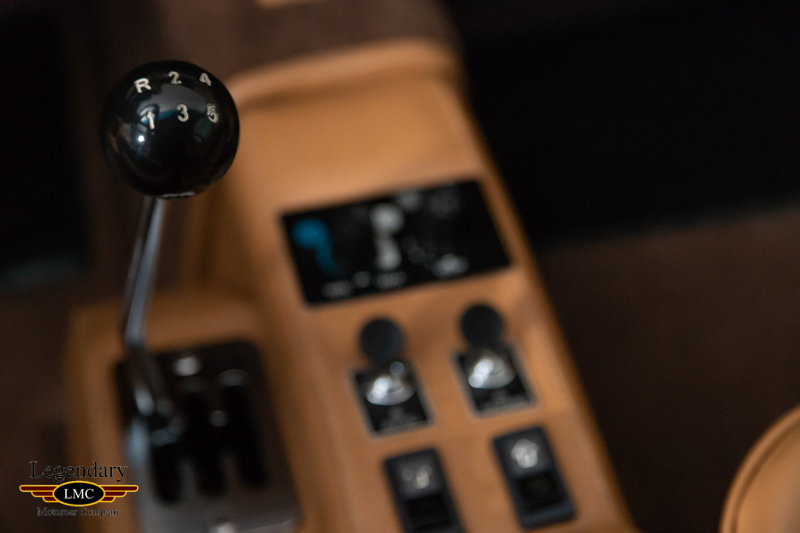 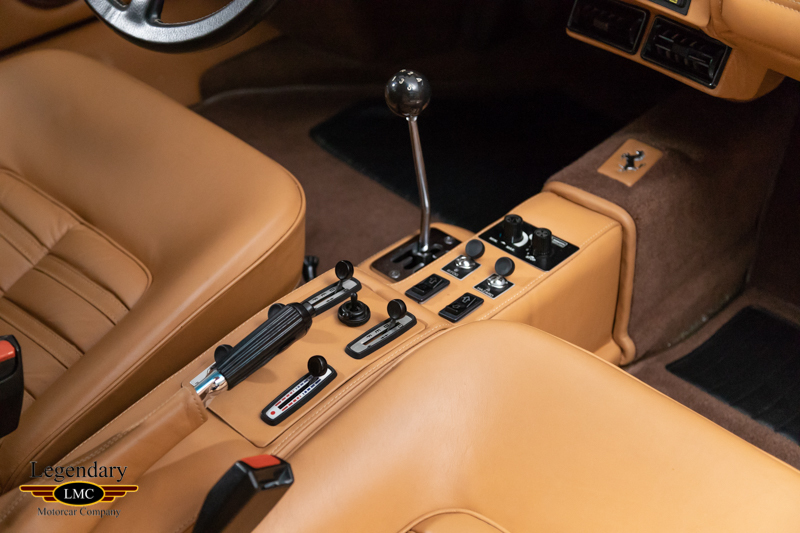 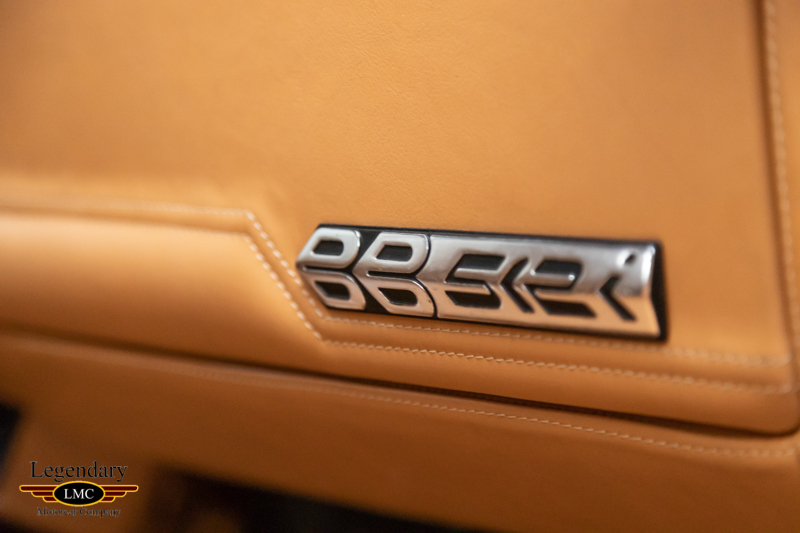 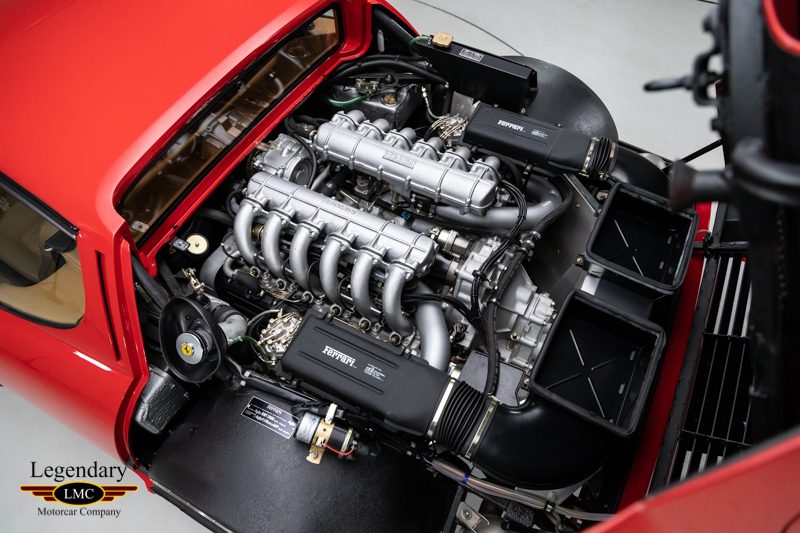 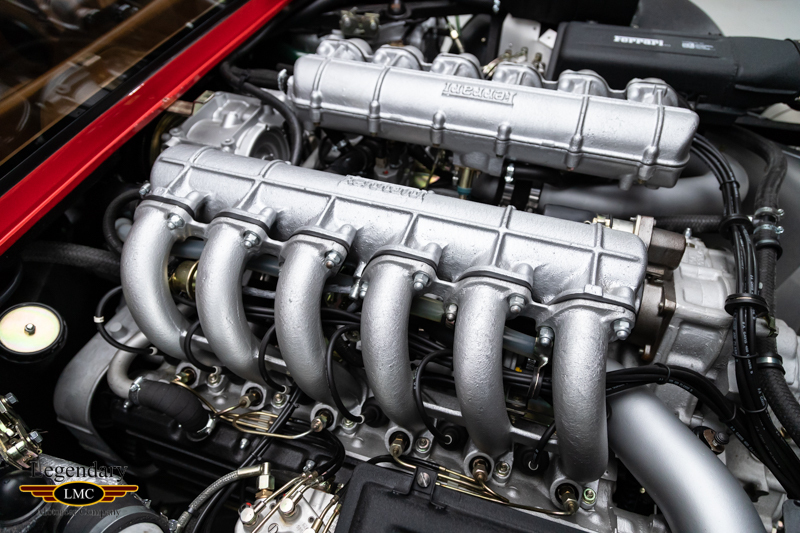 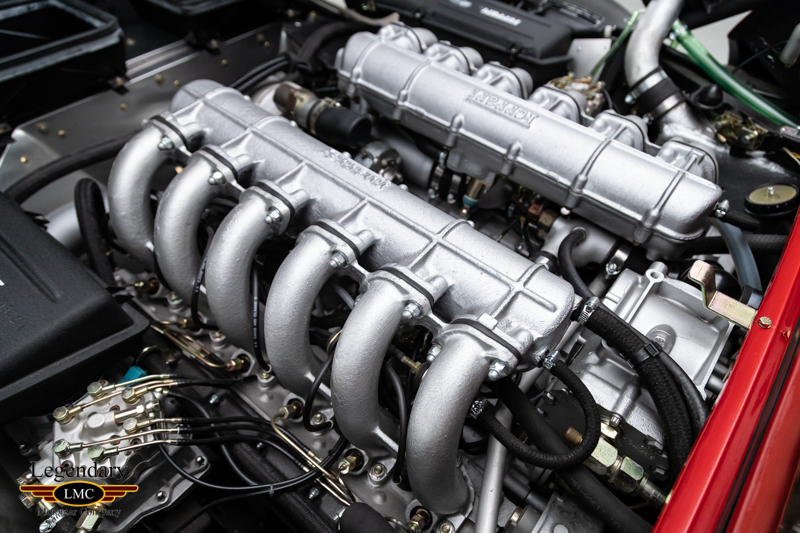 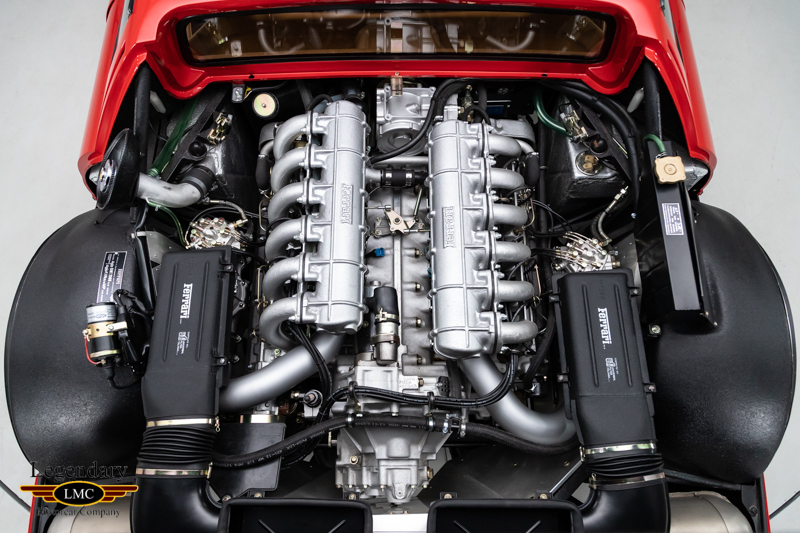 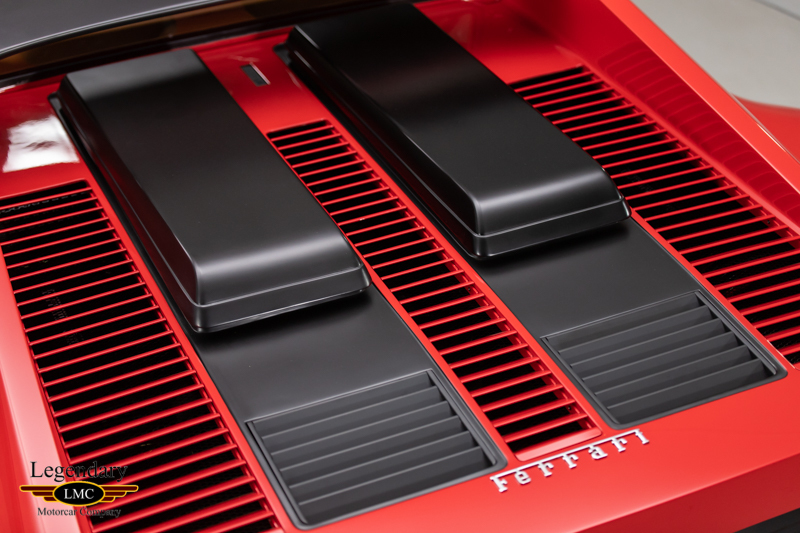 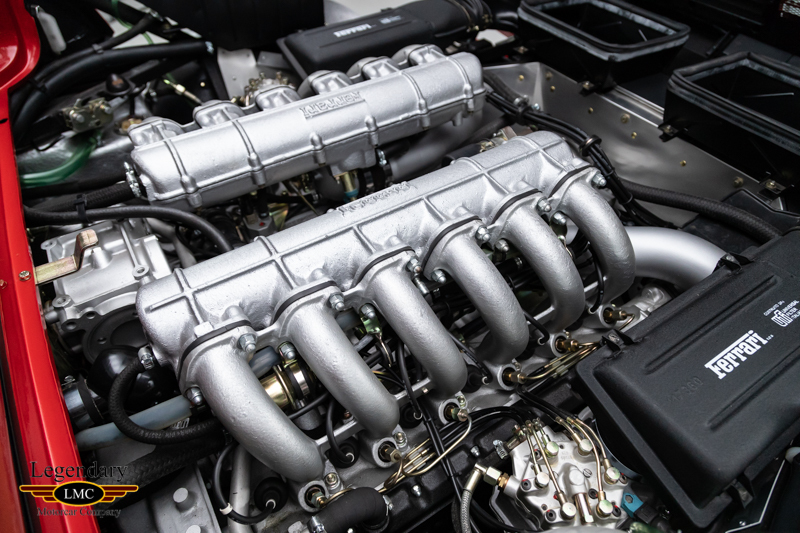 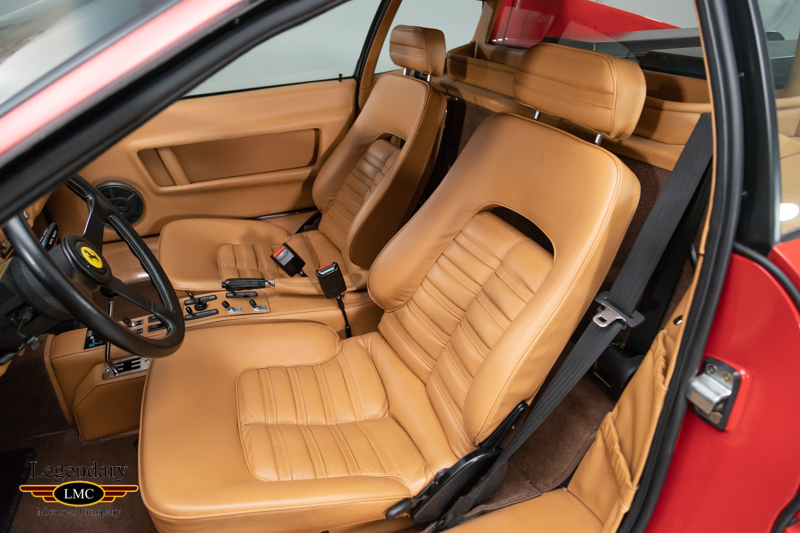 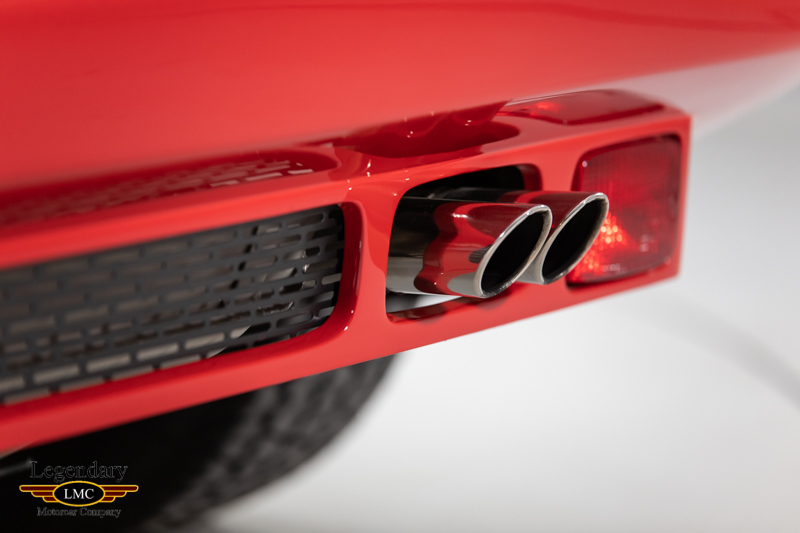 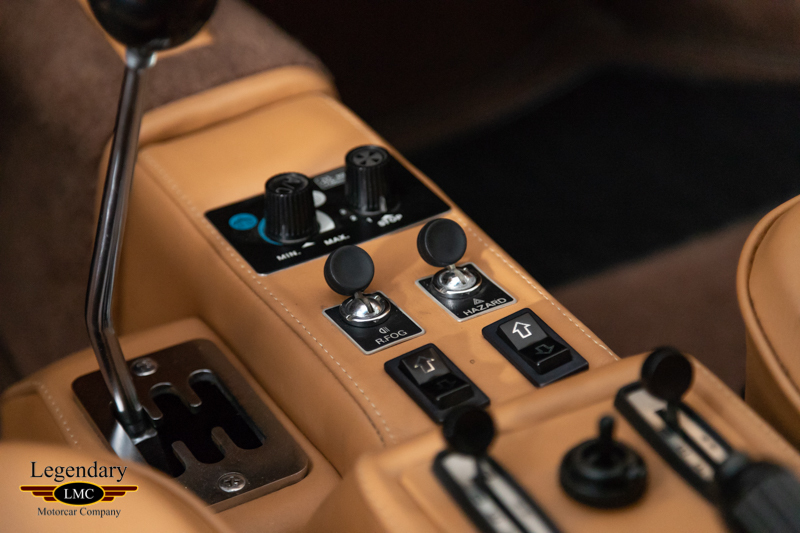 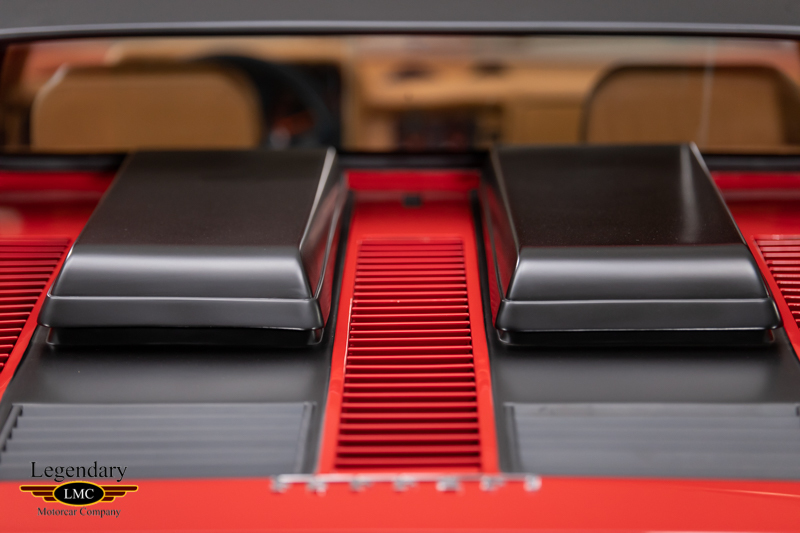 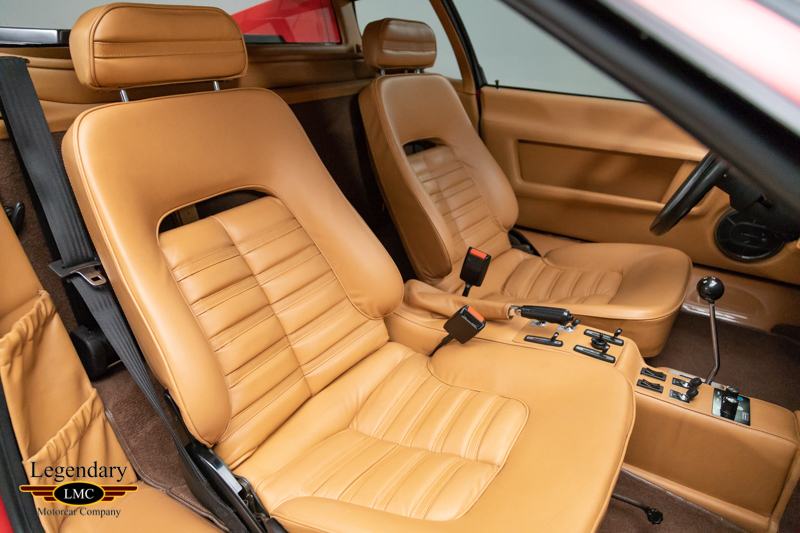 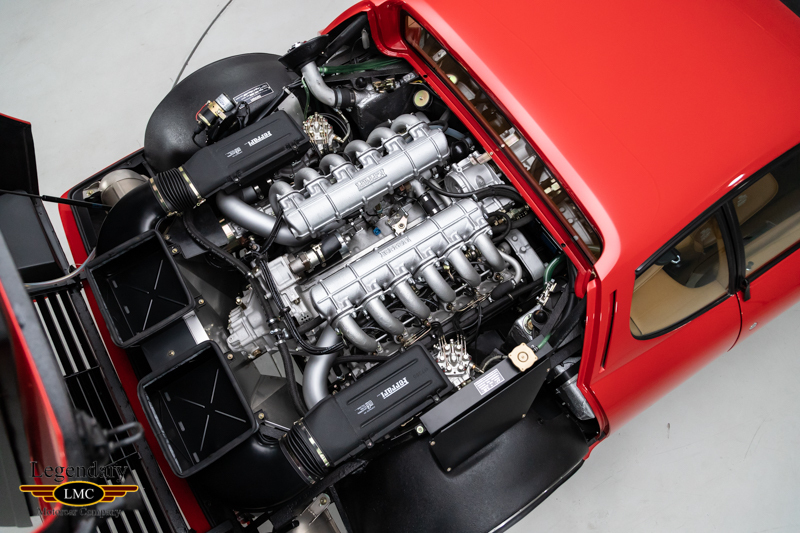 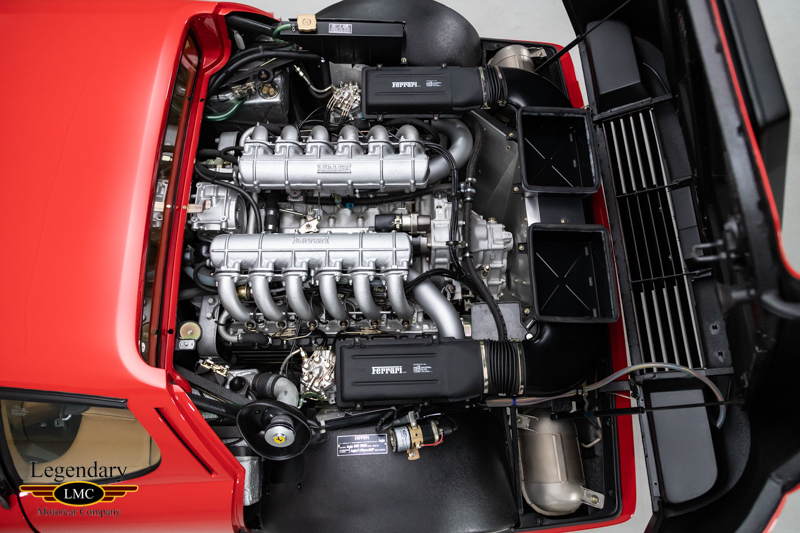 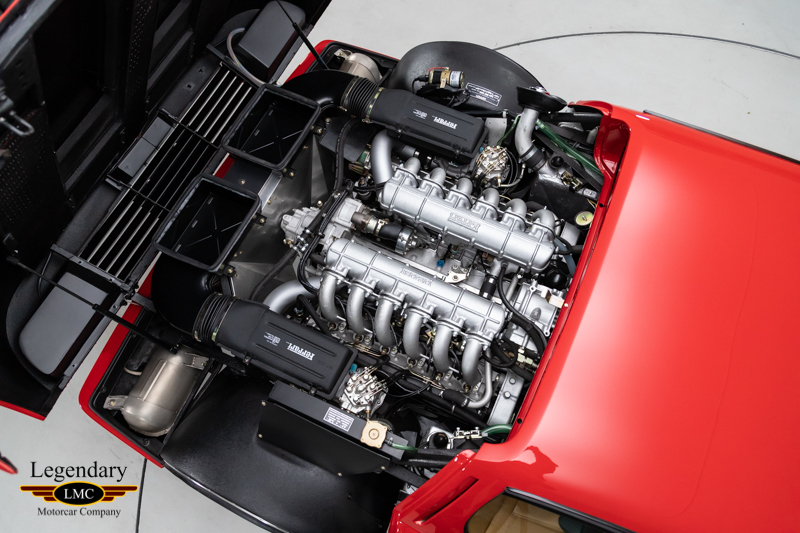 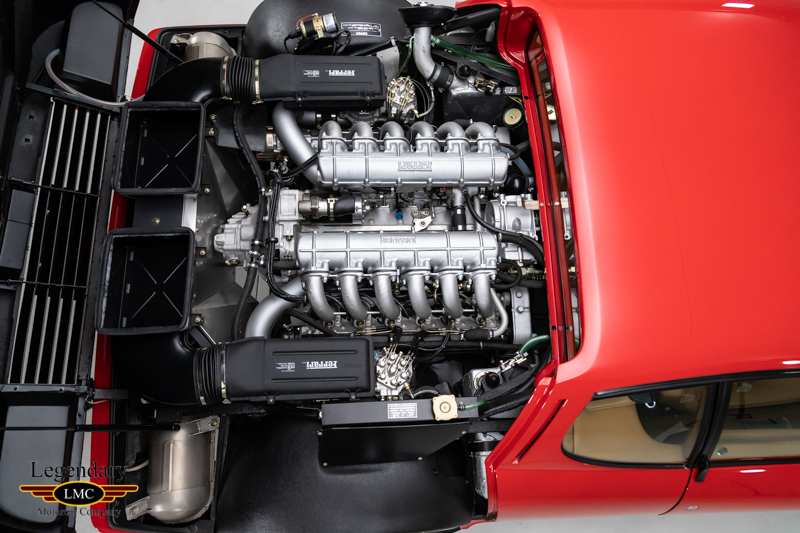 The 512 BBi remains one of the best road going Ferrari’s thanks to the impressive torque curve from the flat-12 engine and is generally considered to be the most civilized, drivable and reliable of Ferrari’s Berlinetta Boxers. 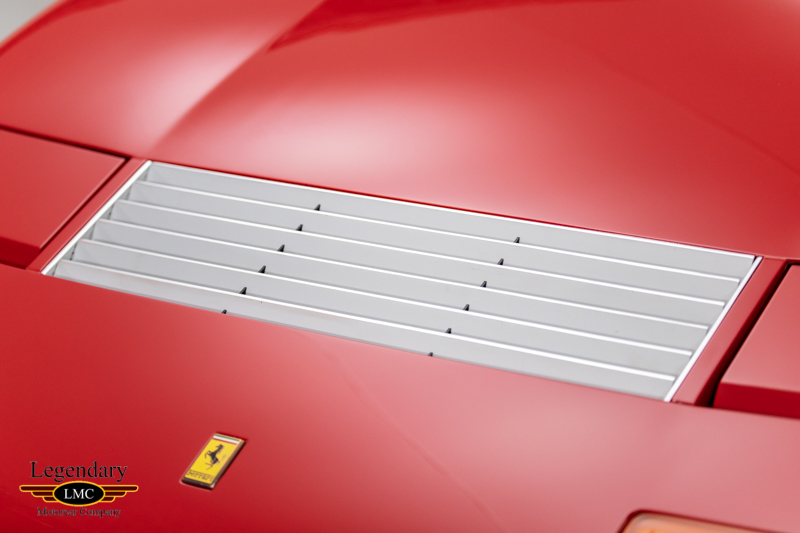 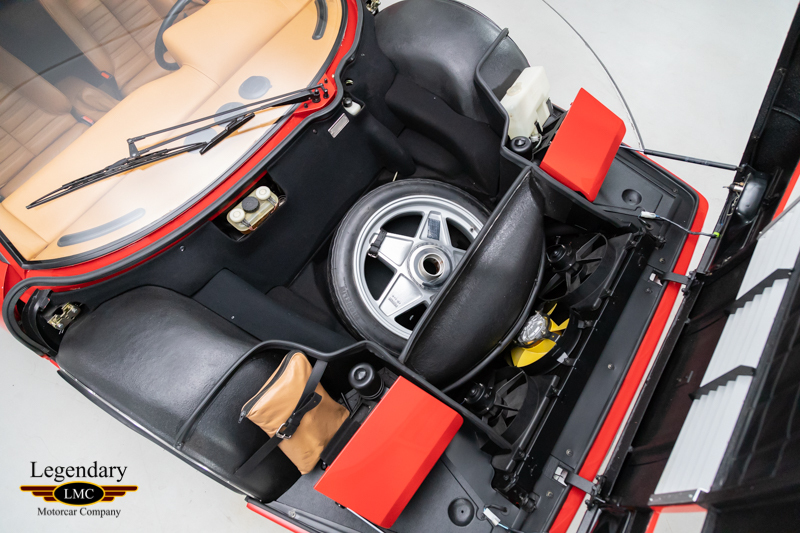 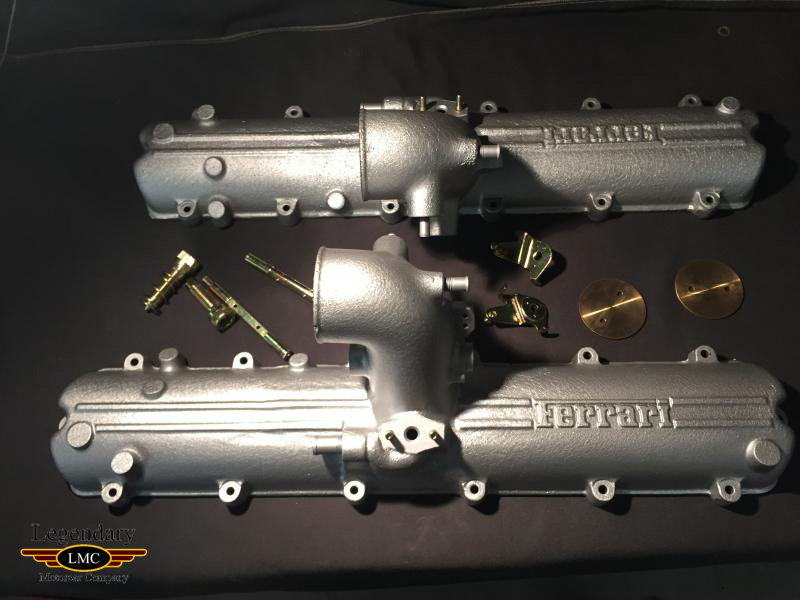 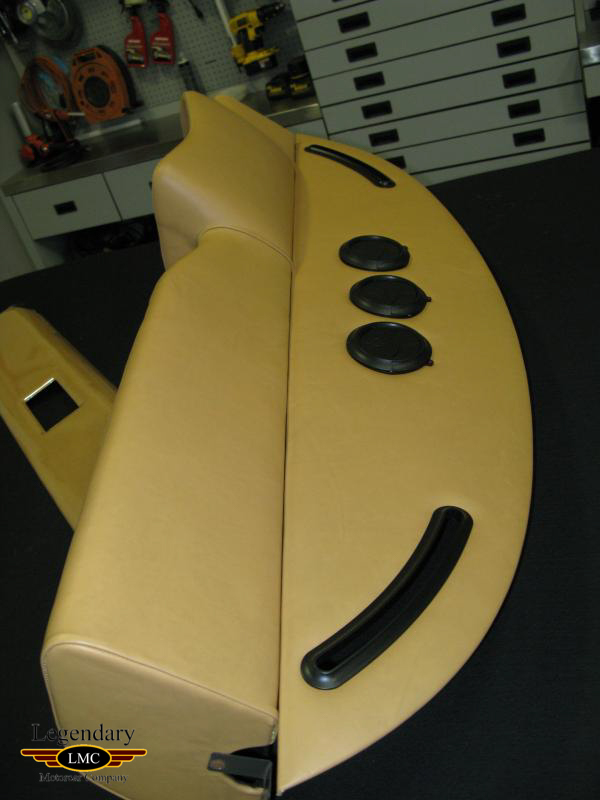 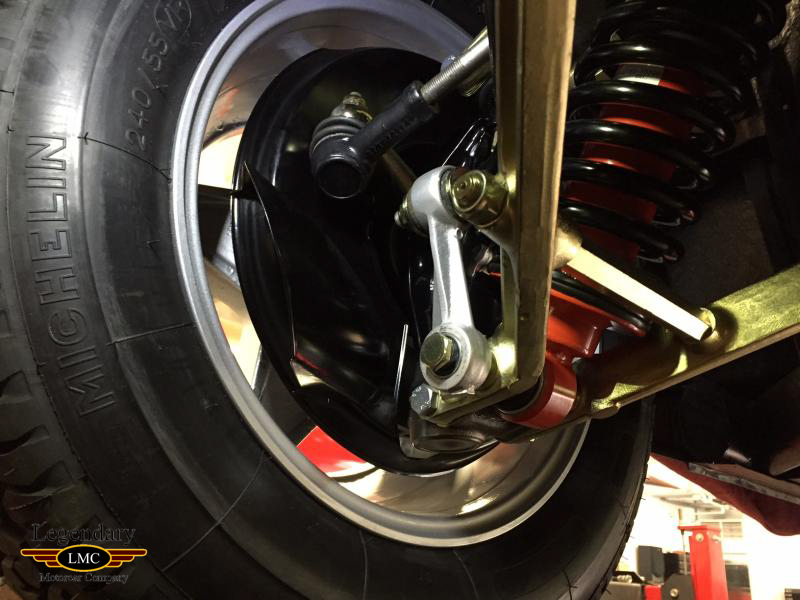 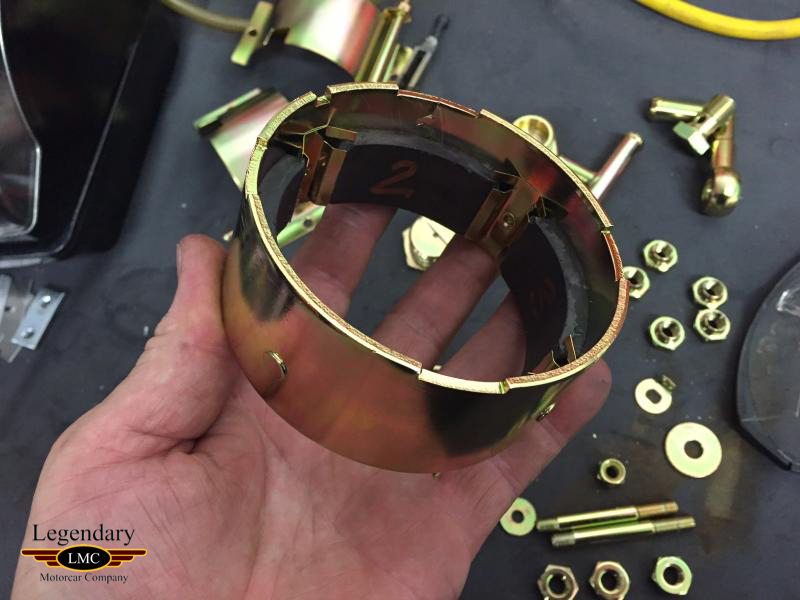 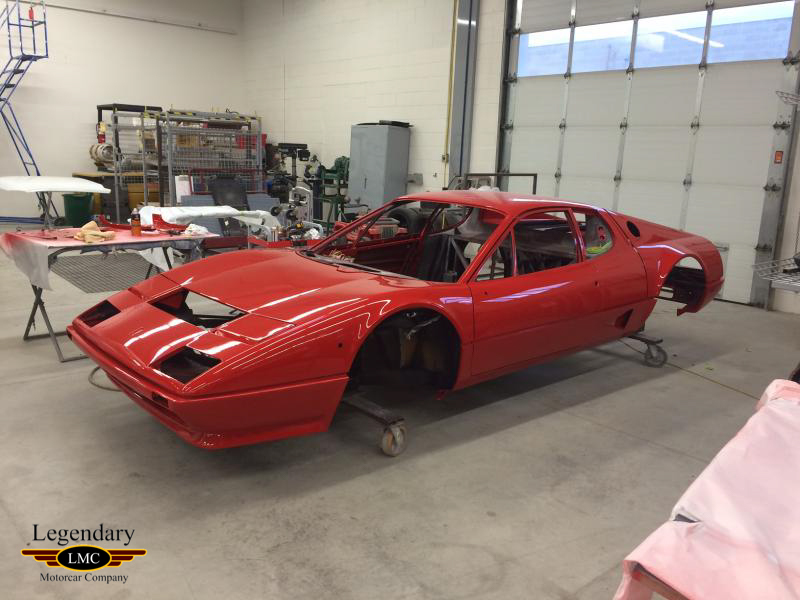 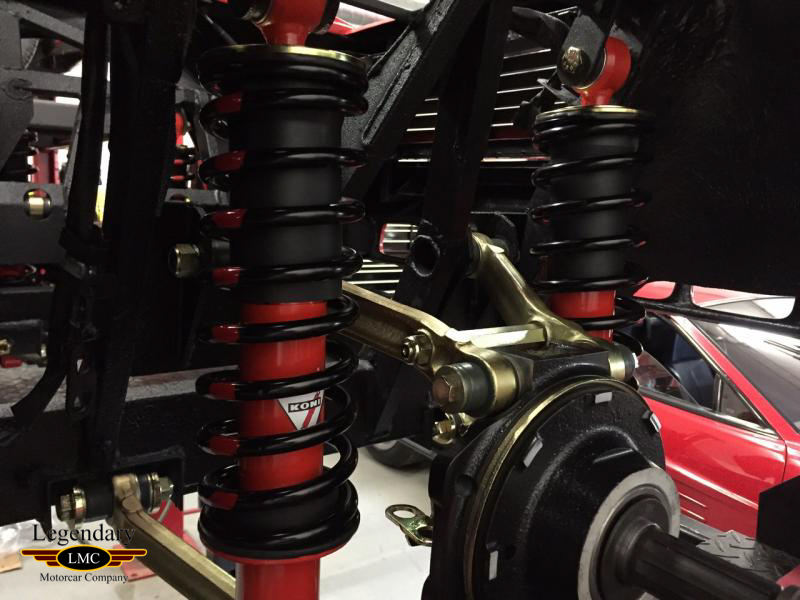 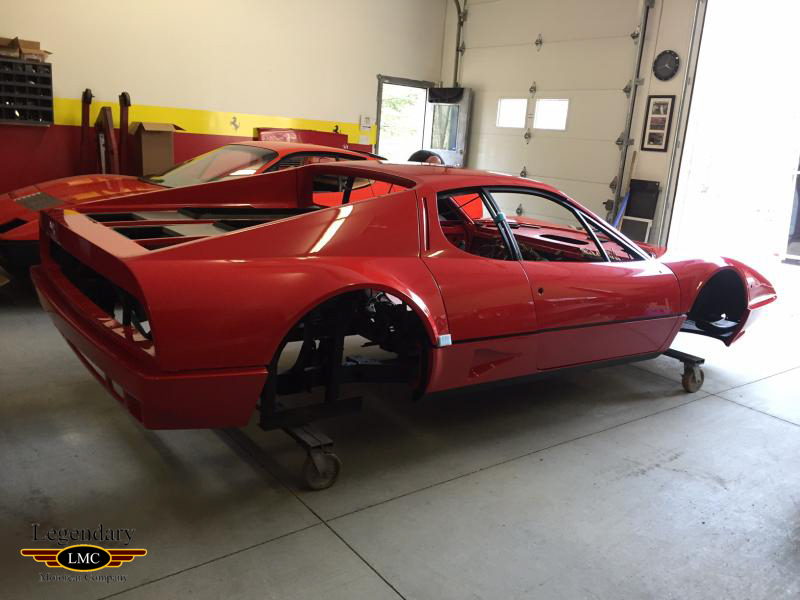 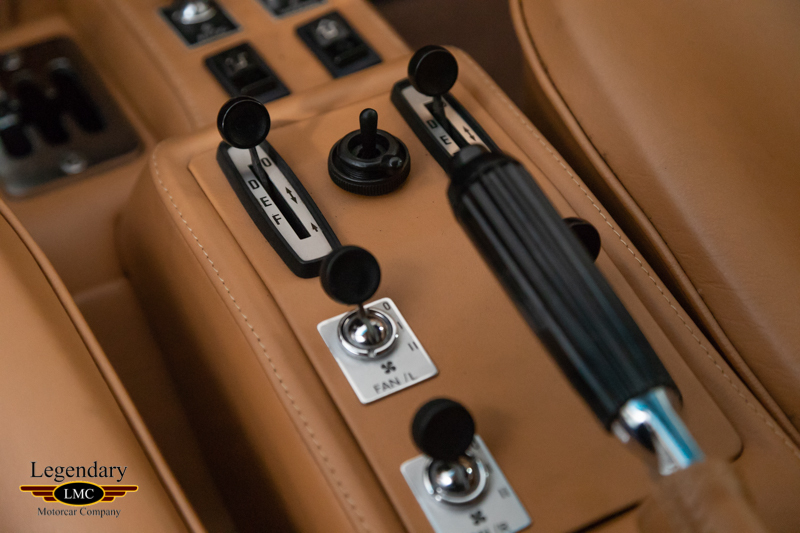 Beautifully refinished in its traditional and classic Ferrari color combination. 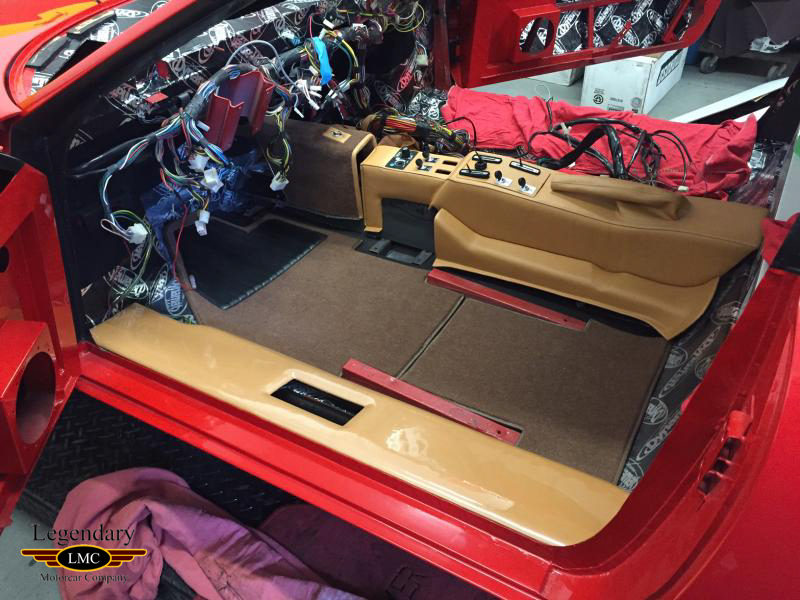 Having benefited from an extensive restoration of coarse the exterior has been completely refinished as well as the cars leather interior. 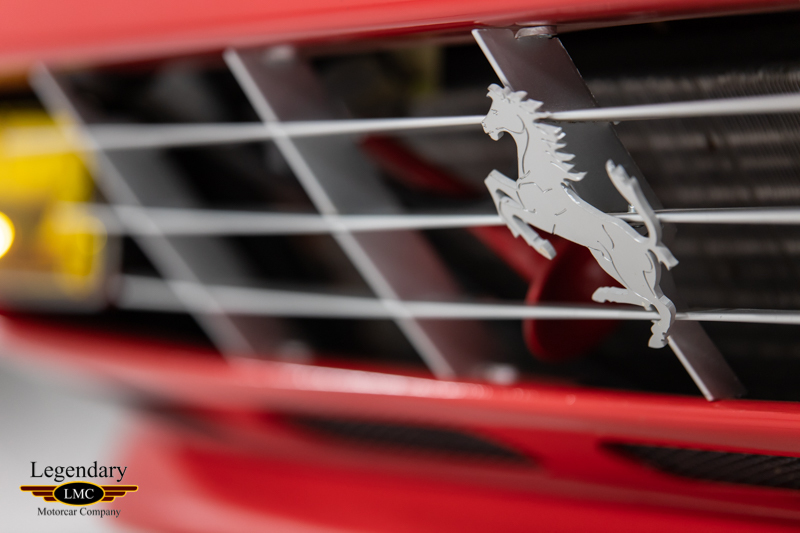 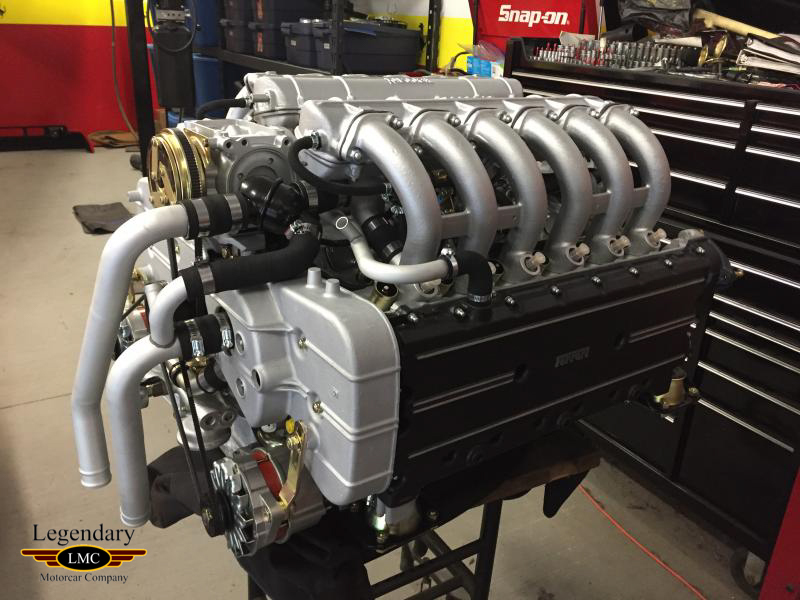 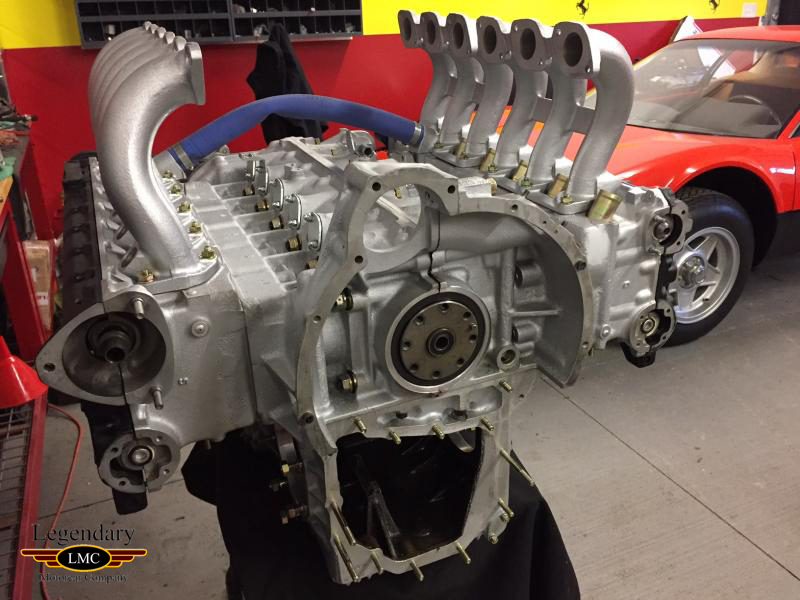 Powering this prancing horse is the legendary flat 12 cylinder engine complete with the welcomed factory updated fuel injection system backed by its 5 speed manual transaxle. 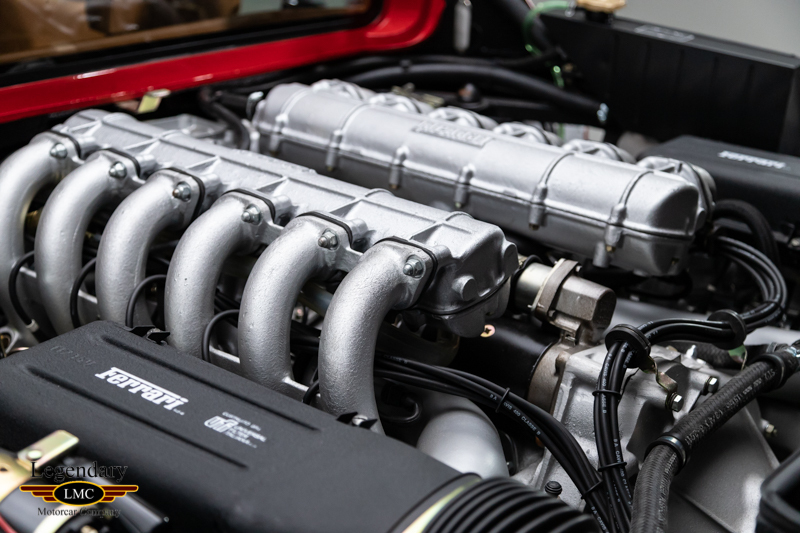 These late production fuel injected cars had 20 more foot pounds of torque from its predecessors. 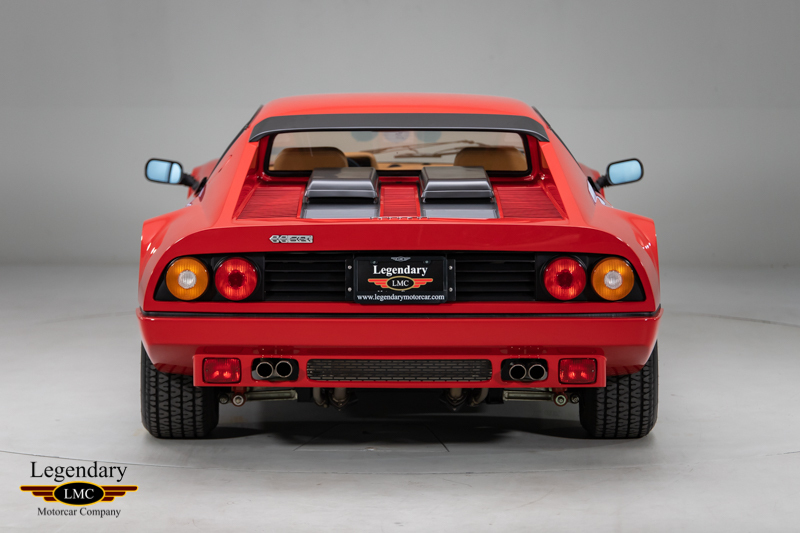 Performance for its time was unparalleled with a 0 to 60 mph time of 5.4 seconds and estimated top speed of 174 mph. 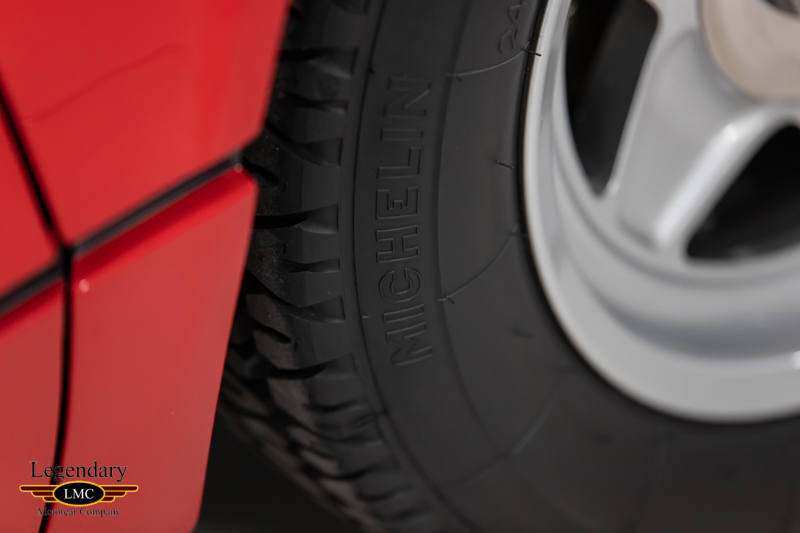 It sports new Michelin TRX tires mounted on the factory style rims and complete with its in dash Alpine stereo system. 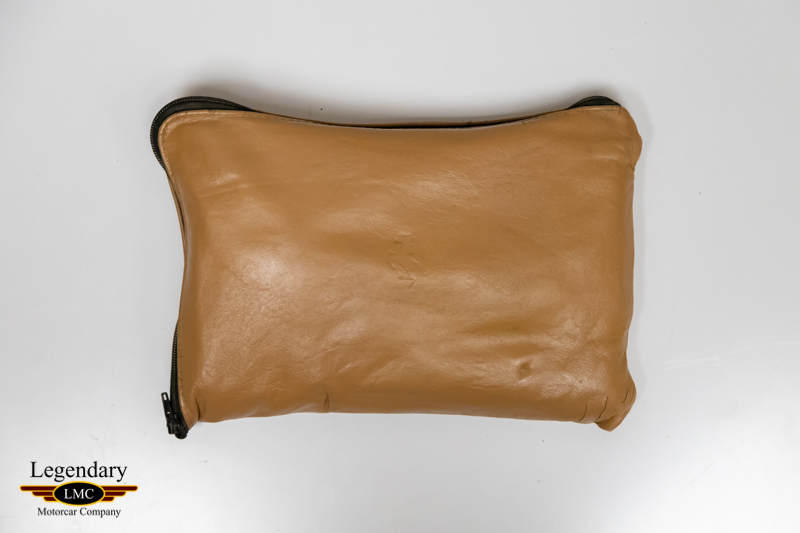 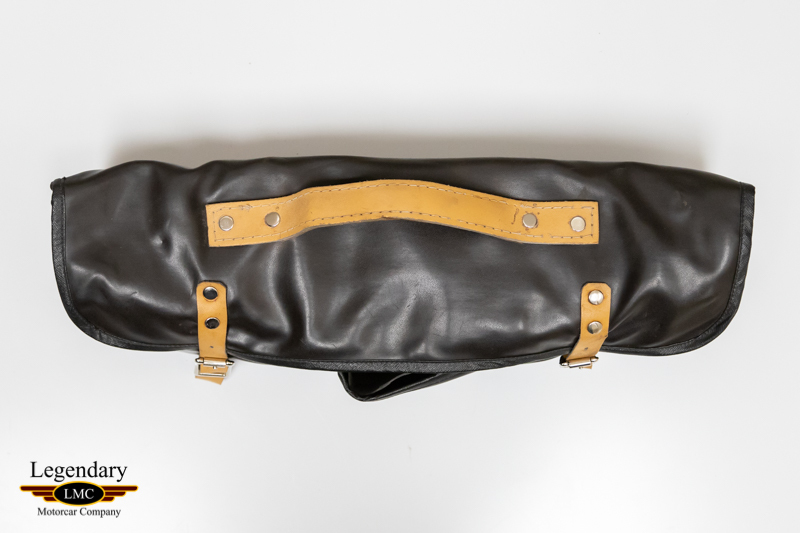 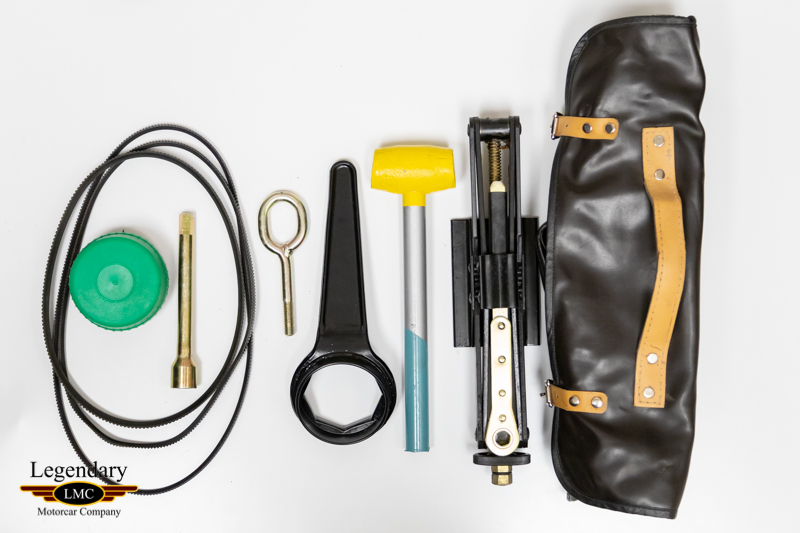 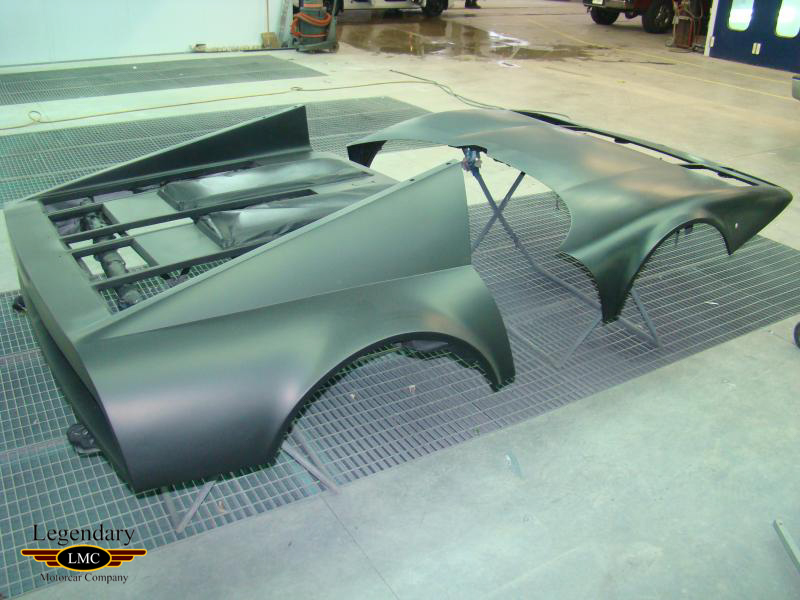 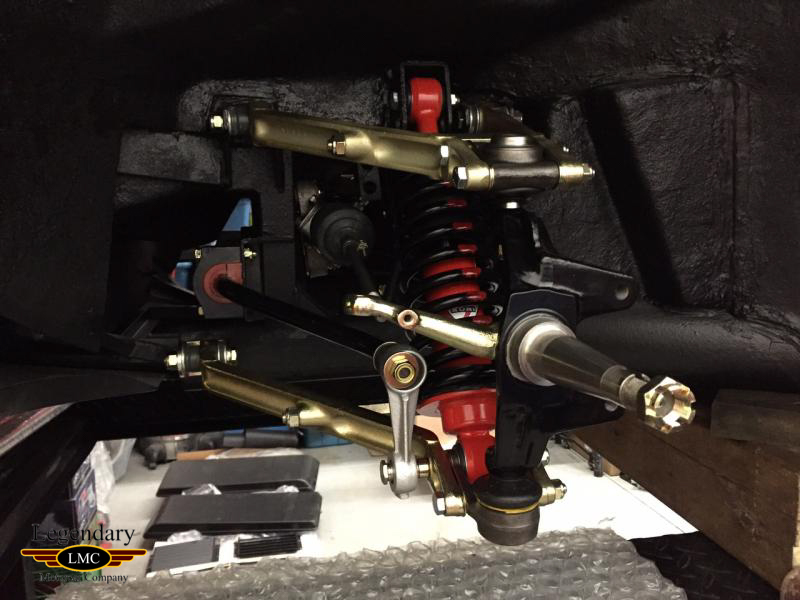 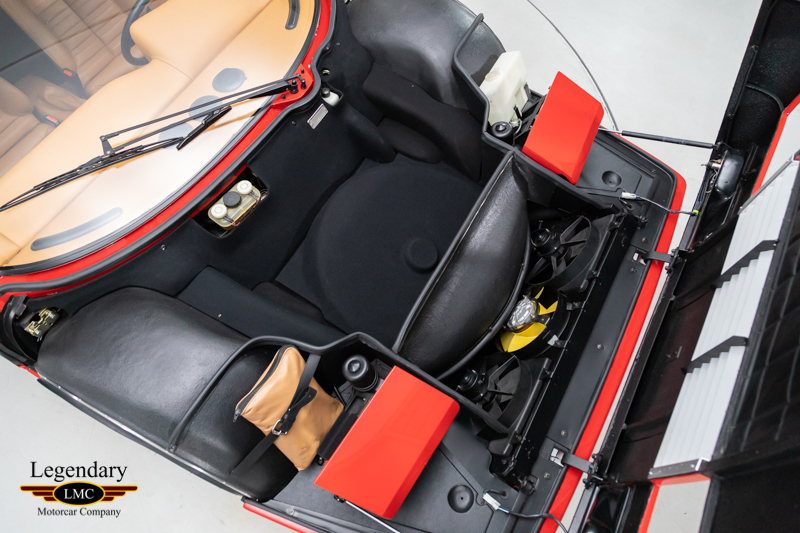 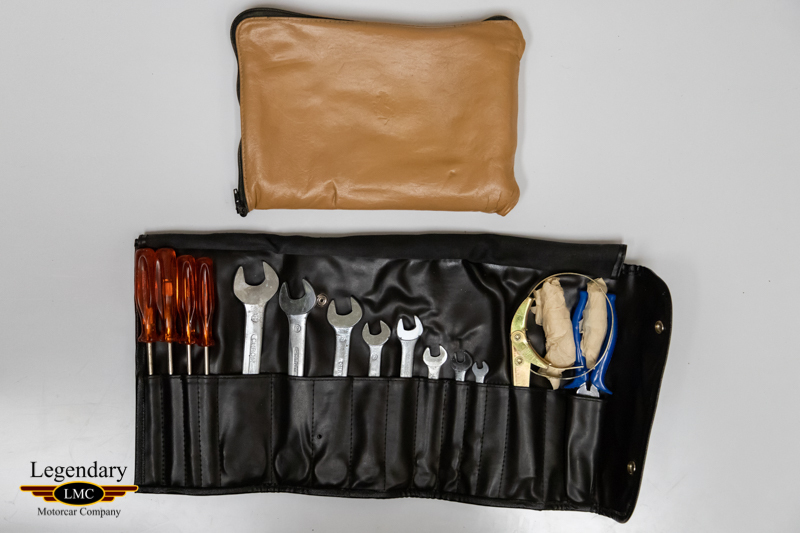 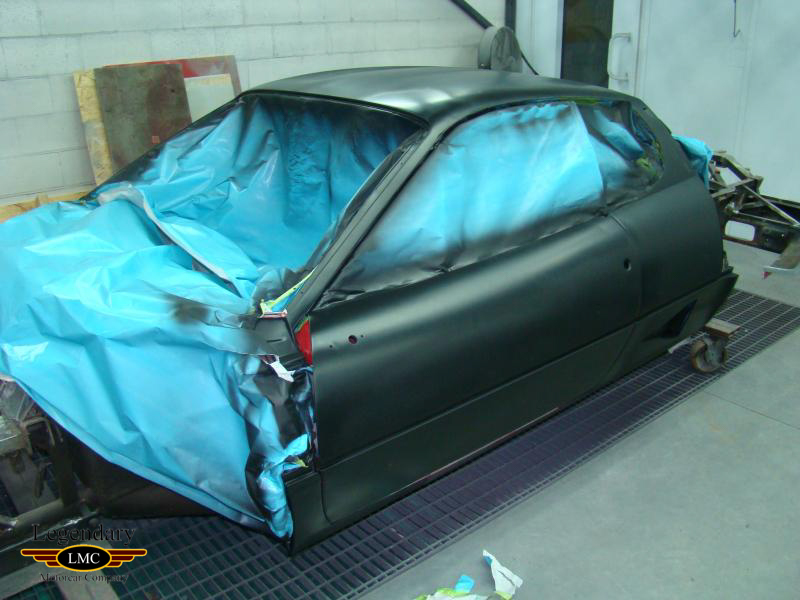 Starting with a great original example, the car would receive a full and complete restoration. 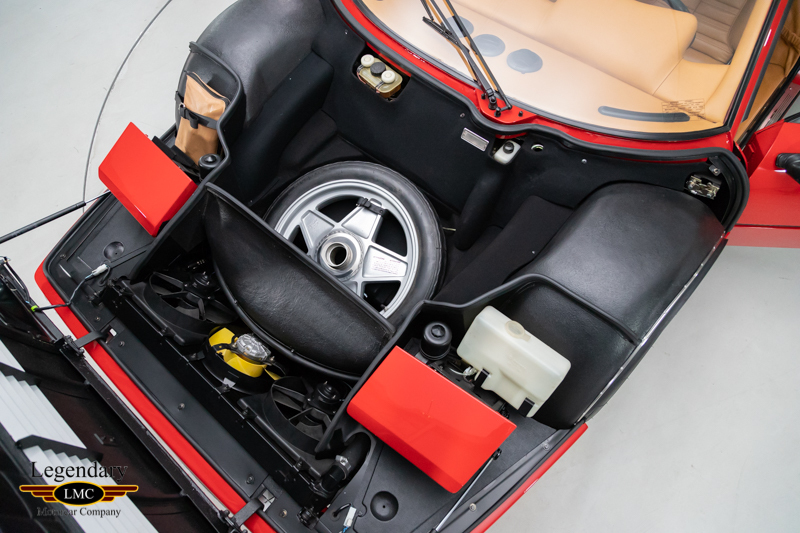 It was dismantled, striped of it factory finishes and went on to be restored and rebuilt from the ground up. 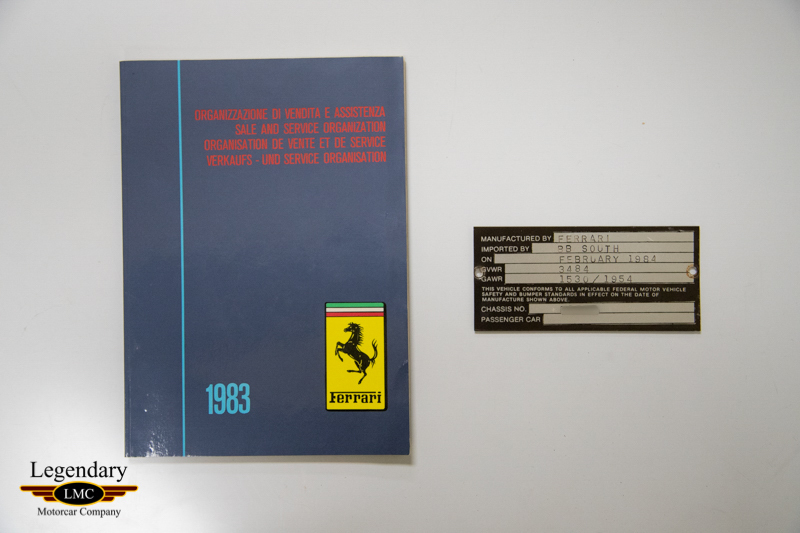 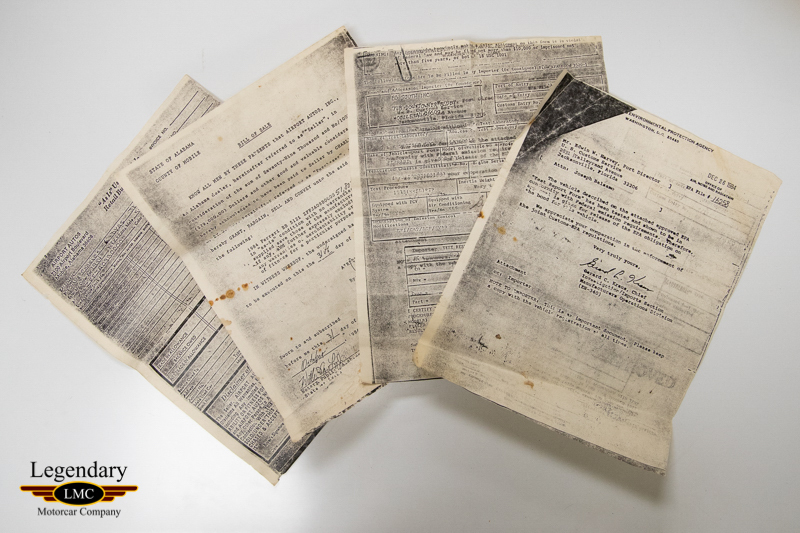 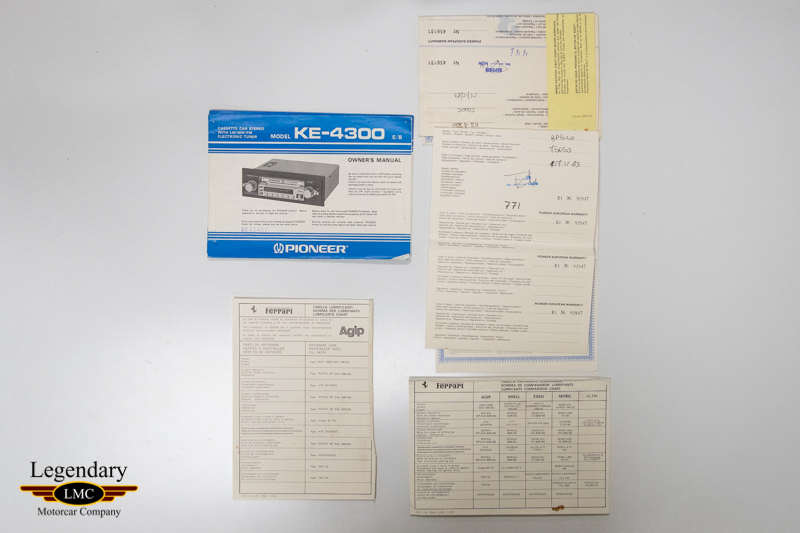 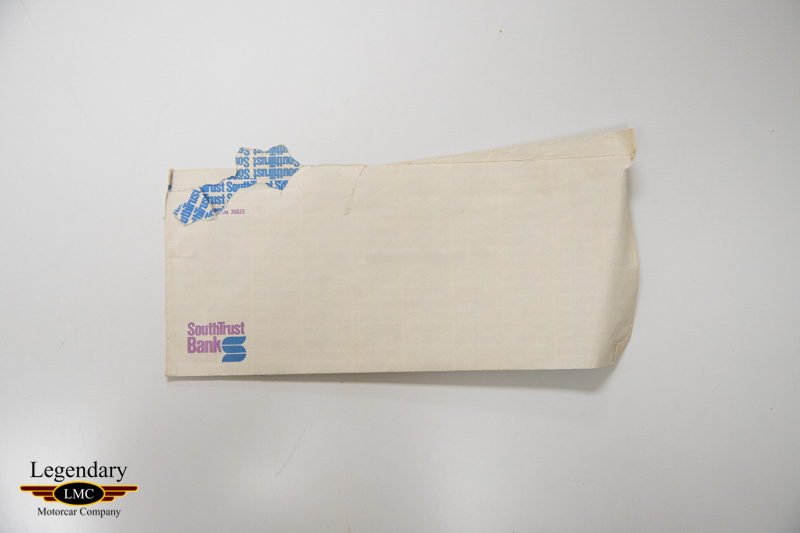 Extensive photo documentation of the complete restoration as well as a file full of the restoration receipts will all be passed on to its next car taker. 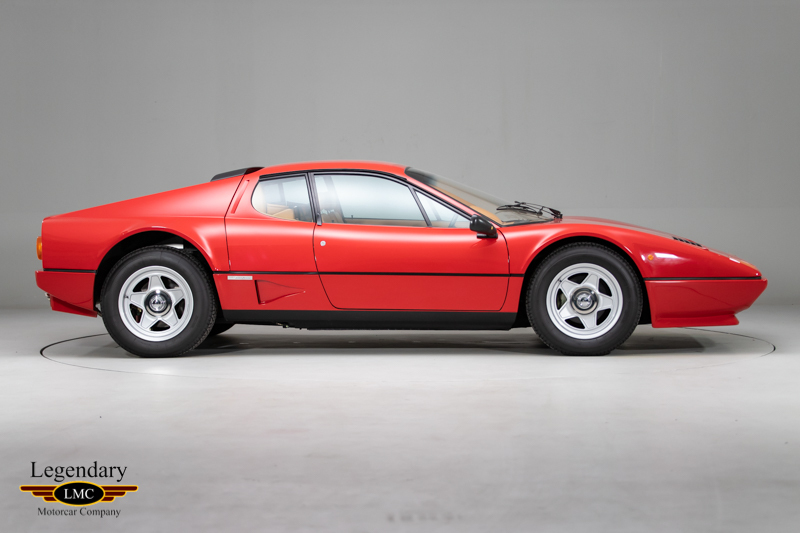 Sergio Scaglietti, whos firm made the bodies would sum it up best “It was something special. 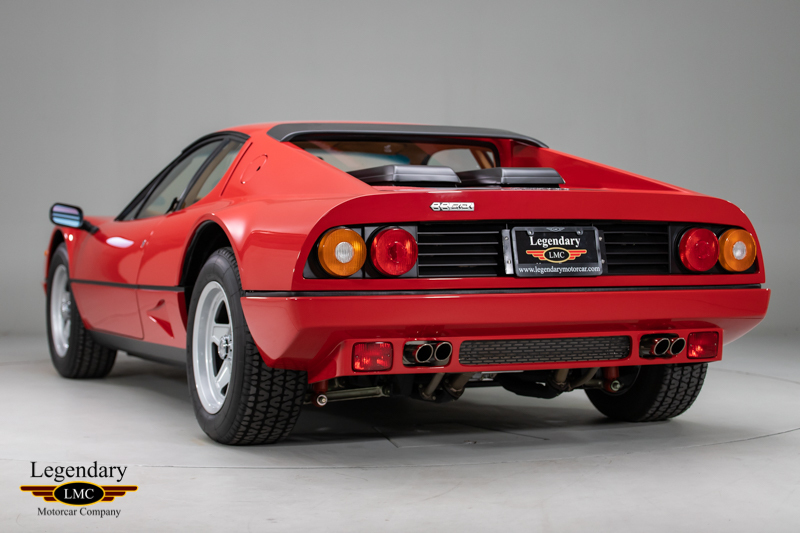 It was the last car we would make everything by hand.” A unique opportunity to purchase the last of the handbuilt production Ferrari’s. 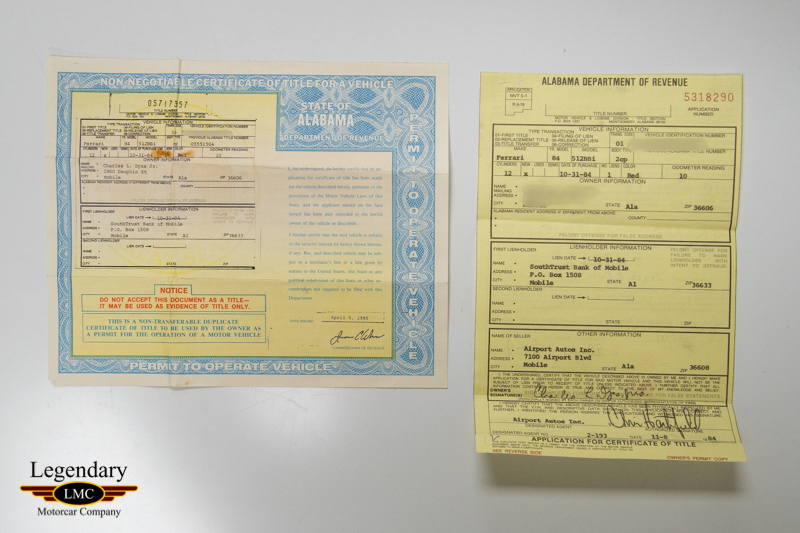 This beautiful Boxer comes fully documented with owners manual, copy of original bill of sale, original title, import documentation, EPA form, application for orignal title, federalization paperwork, Ferrari issued wiring diagram, sales and services booklet, Ferrari Atlanta service reciept from original owner in Feb. 2000, factory Pionner Stereo manual and Ferrari lubircation schedule. 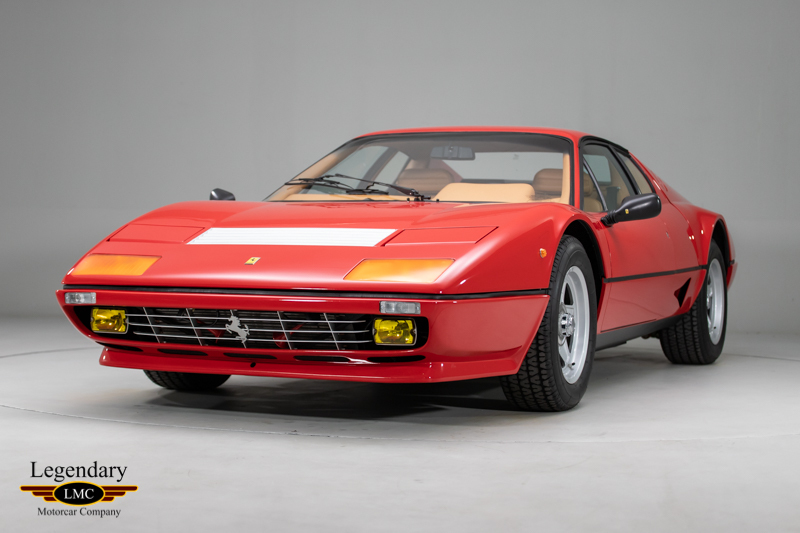 Legendary-Motorcar-Company-Ltd-2018-224 Ferrari 1984 Ferrari 512 BBI Boxer 2018-224 0 Legendary Motorcar Company Ltd.